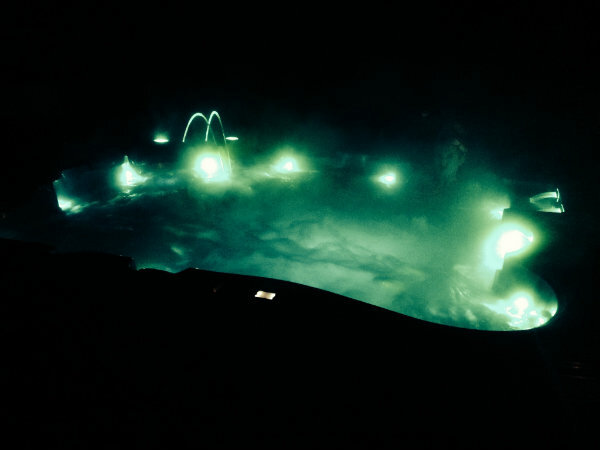 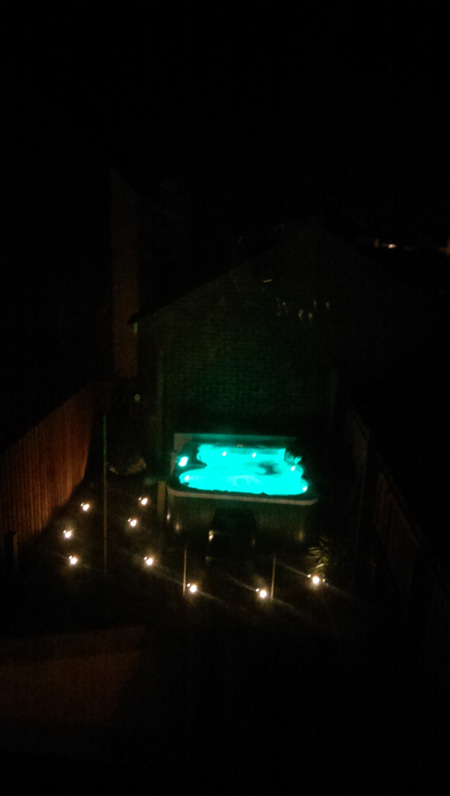 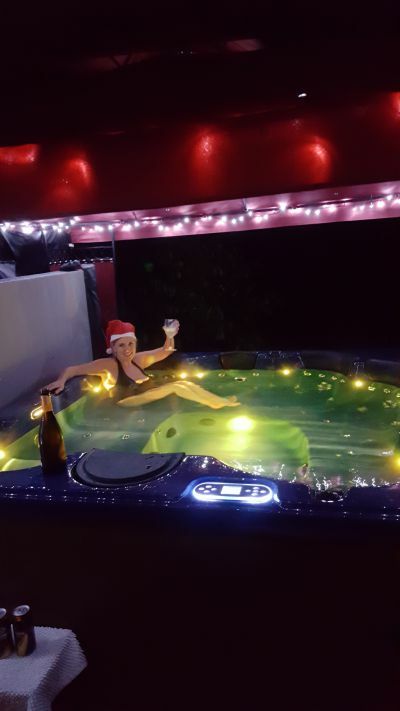 I bought my hot tub from hottubsuppliers.com a year ago. 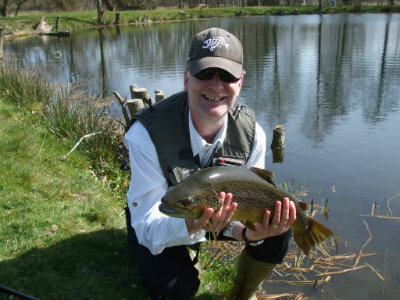 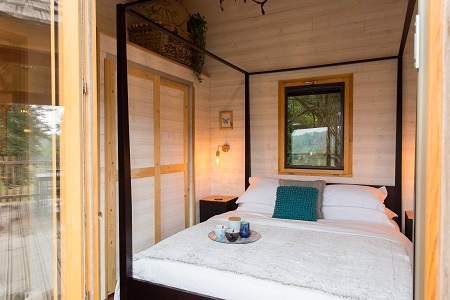 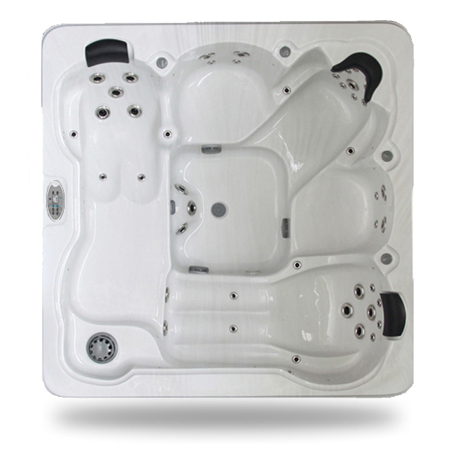 I started to research sizes, types, suppliers etc. 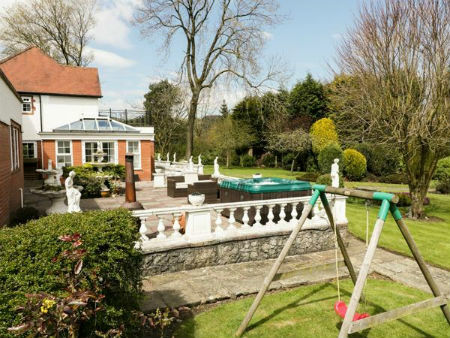 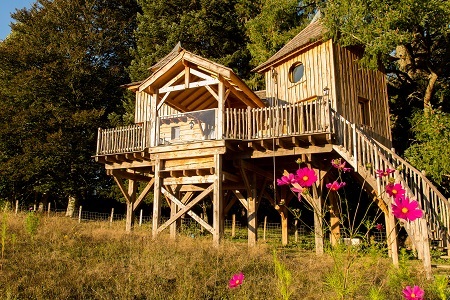 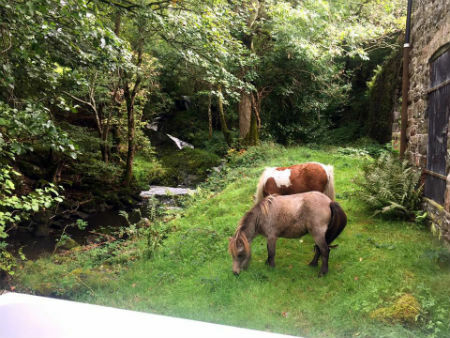 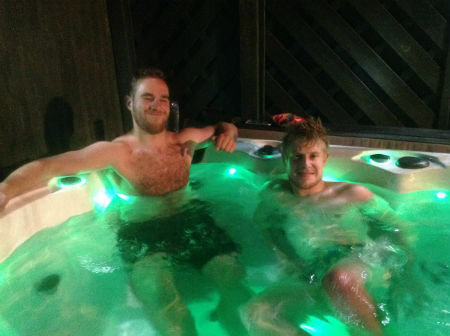 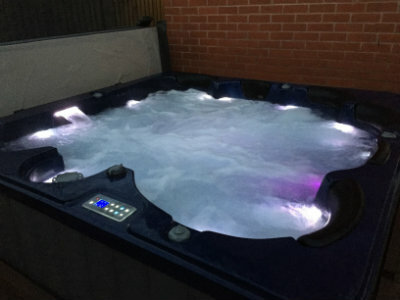 I was constantly drawn to hottubsuppliers.com as their offer was so good; in fact I was sure it was too good to be true in comparison with others I had looked at. 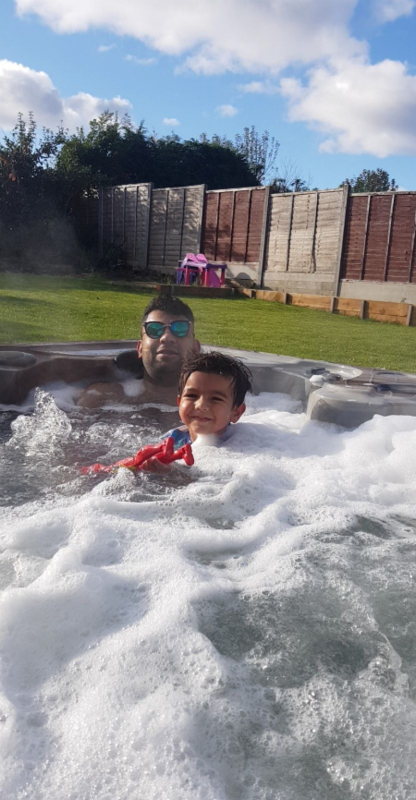 I phoned Arun on multiple occasions asking for information which he dully supplied. 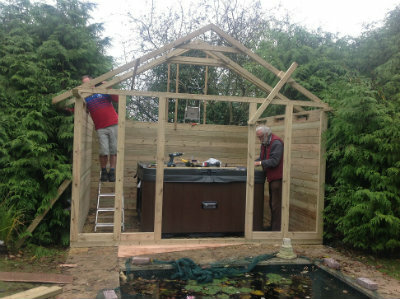 He even sent me a plug from one of the holes drilled into the moulding to show the construction of the shell. 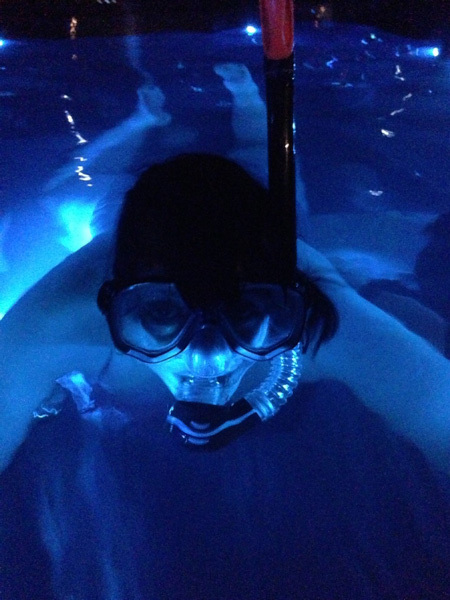 Eventually we took the plunge; so to speak; and ordered. 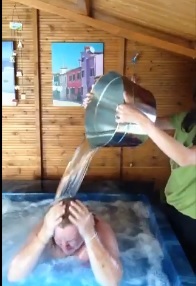 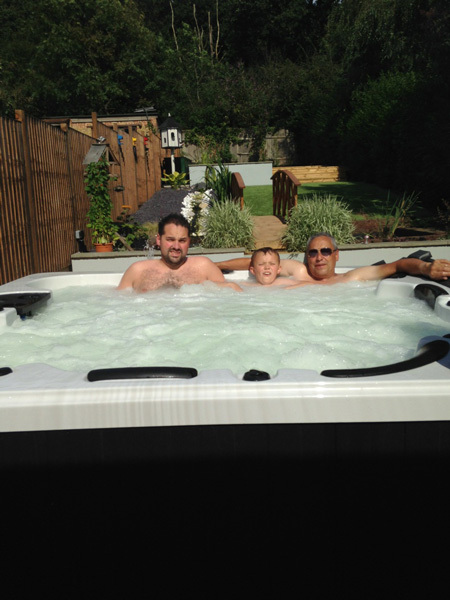 Arun kept us informed of the delivery and 8 weeks later the tub arrived. 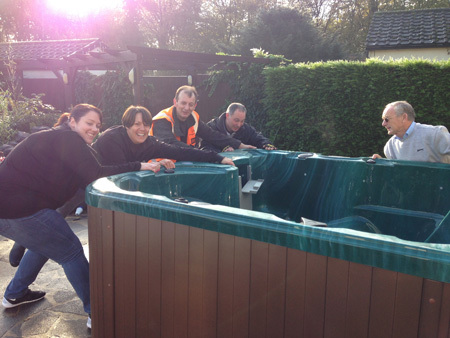 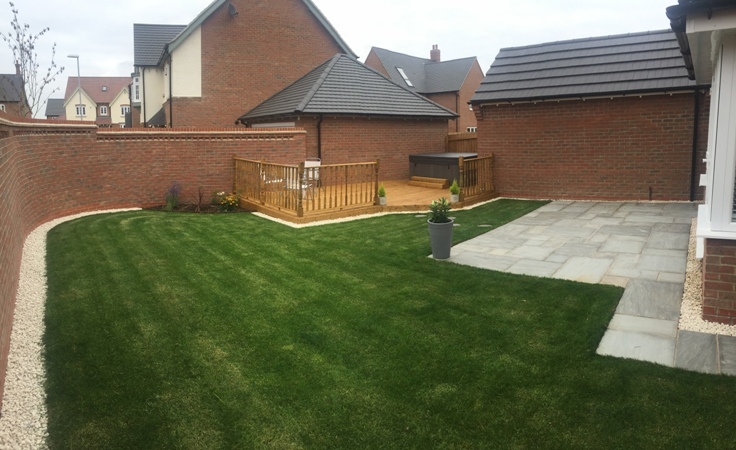 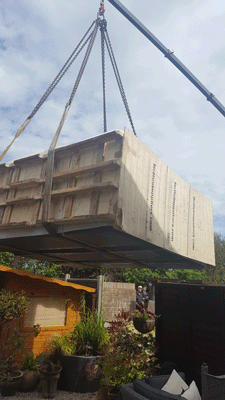 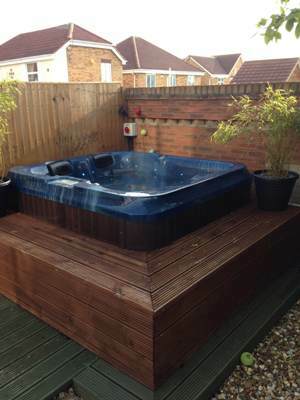 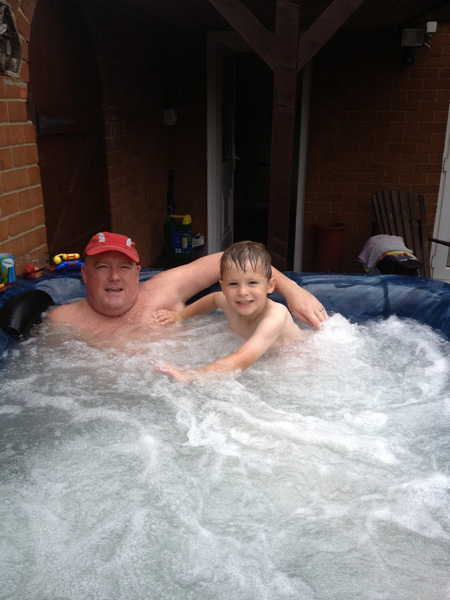 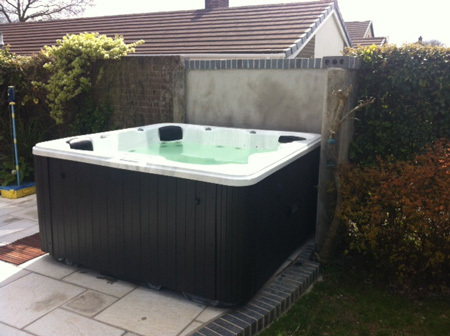 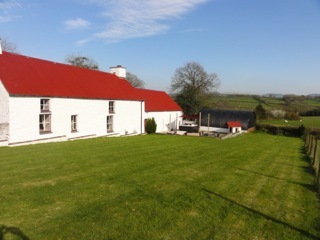 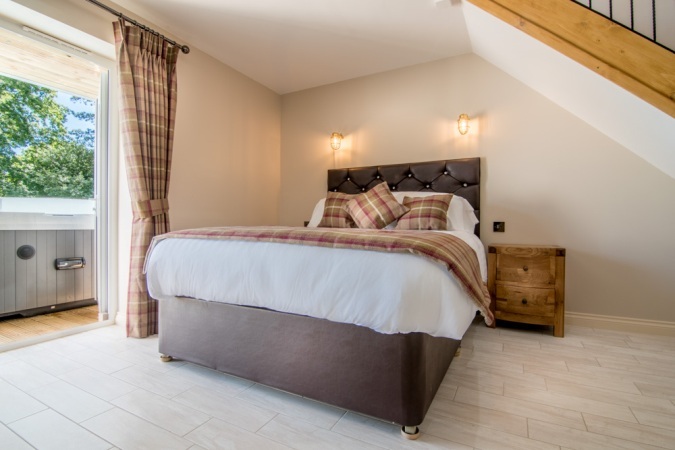 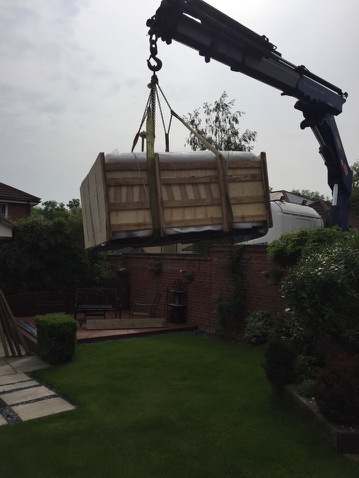 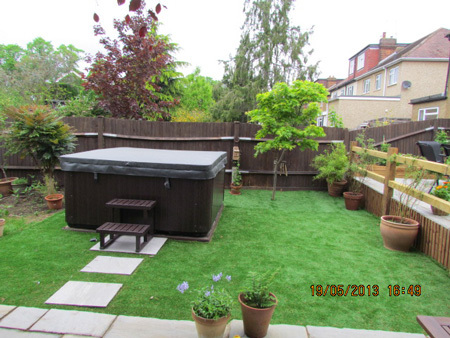 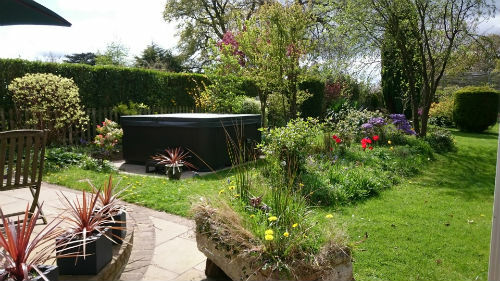 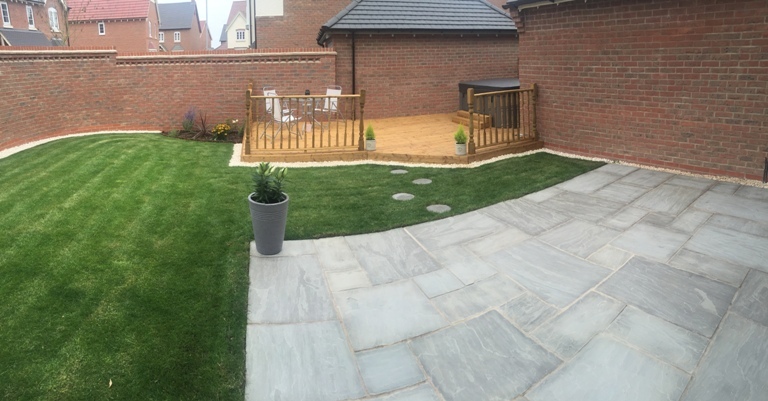 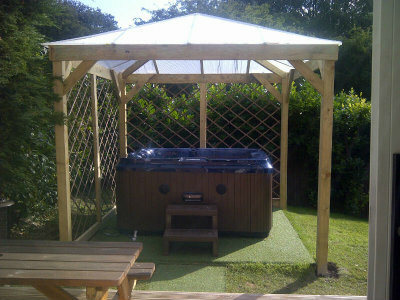 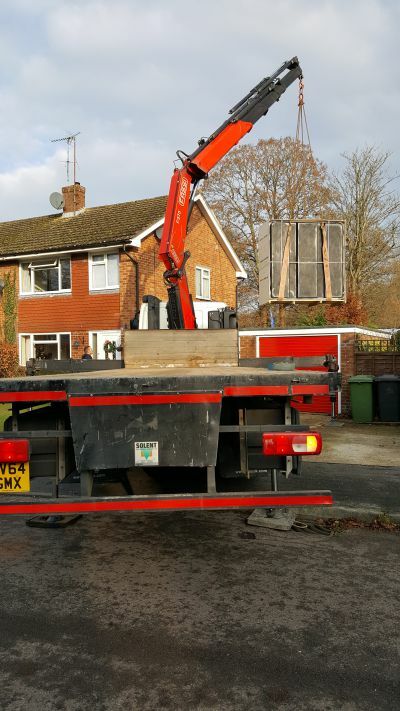 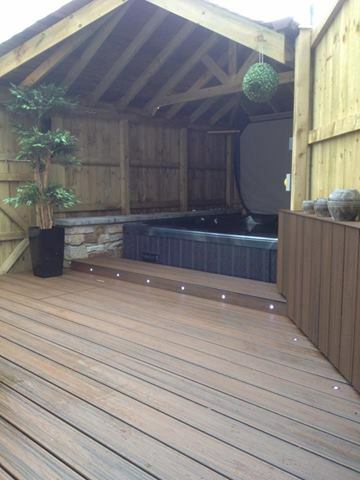 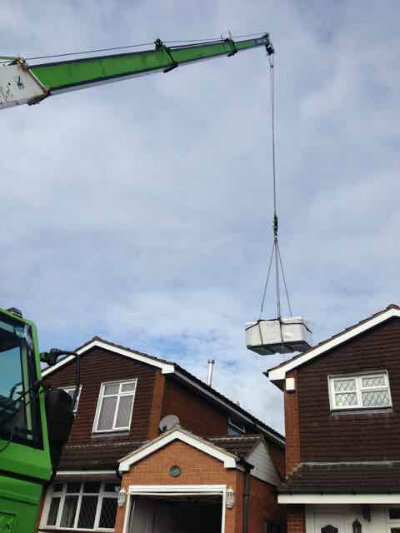 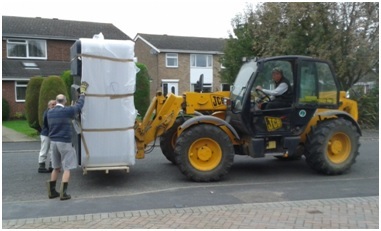 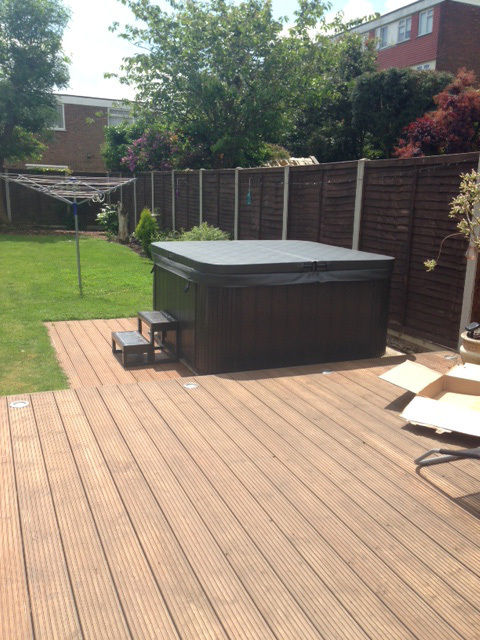 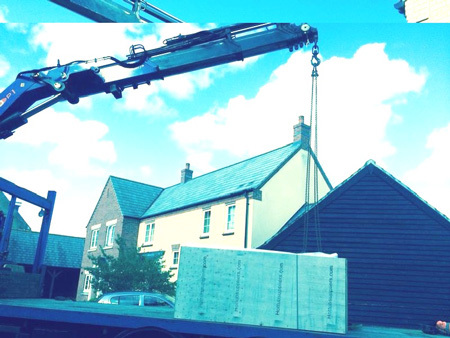 The guys who delivered the tub were very quick and knowledgeable and soon had the tub in the back garden. 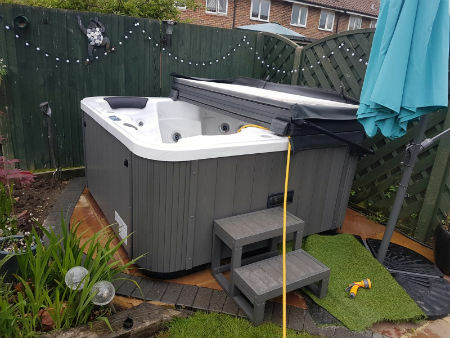 This in itself was no easy task as they had to navigate through a very tight corridor and a few tight corners but they had it on the base in less than an hour. 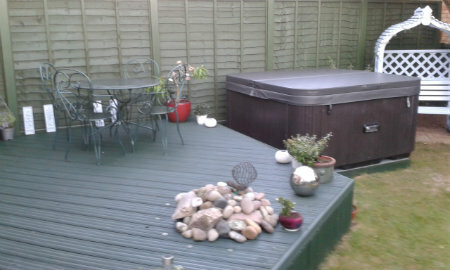 My first impressions were very positive as it definitely looked the part. 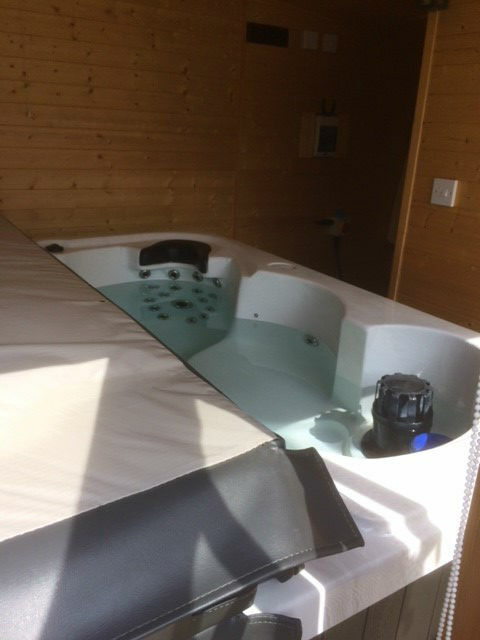 After a quick clean and wipe down we then filled the tub and had the wiring installed. 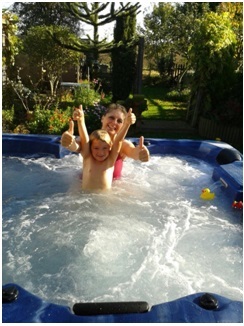 Nervously we turned the tub on and off she went. 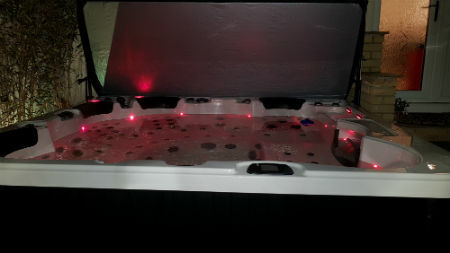 It took about 13 hours to the tub up to temperature and we then tested the water and added the chemicals as directed and left it for a day to settle. 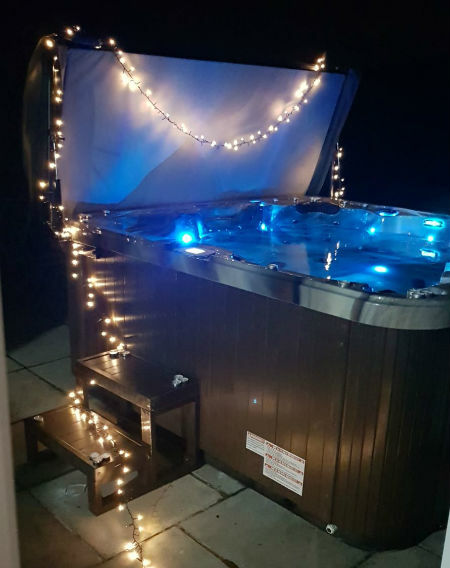 We have been using the tub for the last 10 months, in the summer and on the coldest winter nights and I can honestly say I am very impressed. 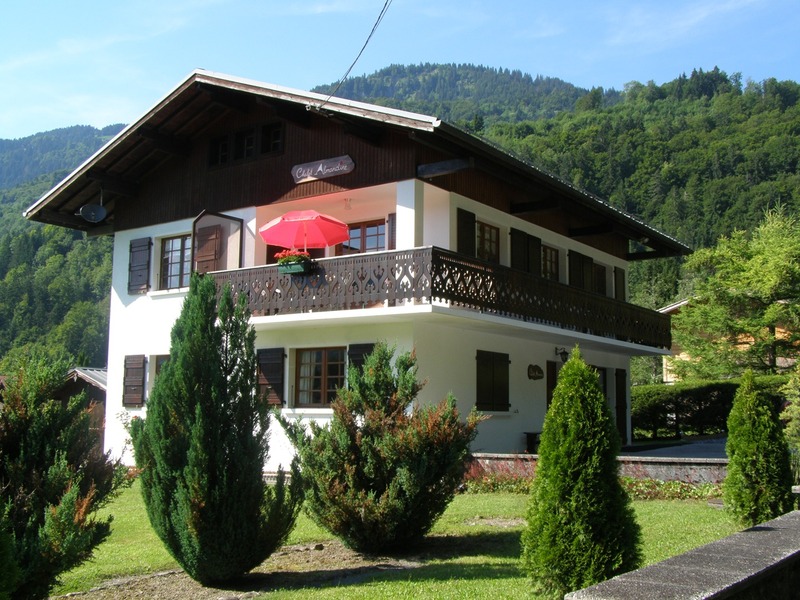 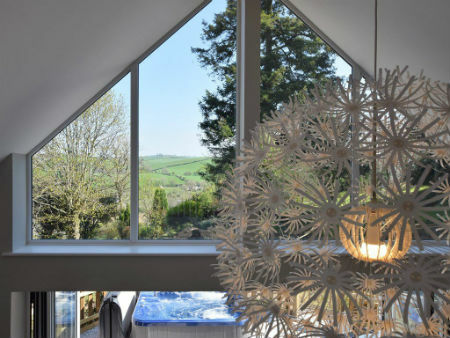 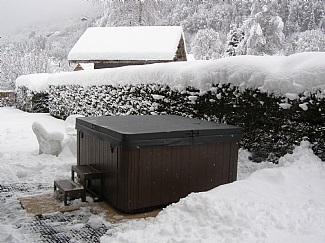 The temperature stays within 0.5 DegC during use even in the cold winter. 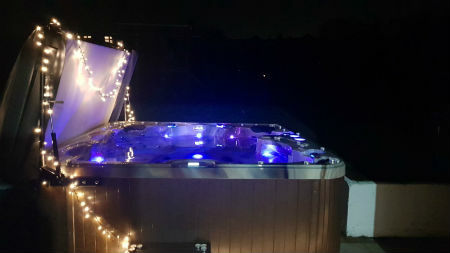 The tub has never missed a beat and is exactly what I wanted; and is better than we were expecting for the price we paid. 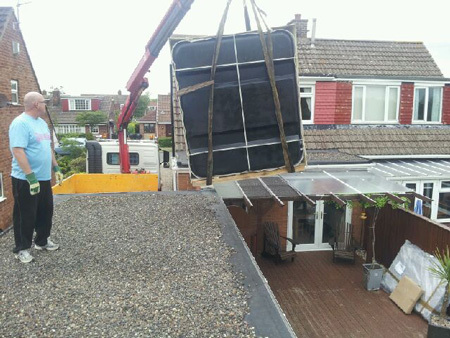 We had a bit of an issue with the Balboa control display but this was probably down to heavy handed operation of the controls rather than the product itself. 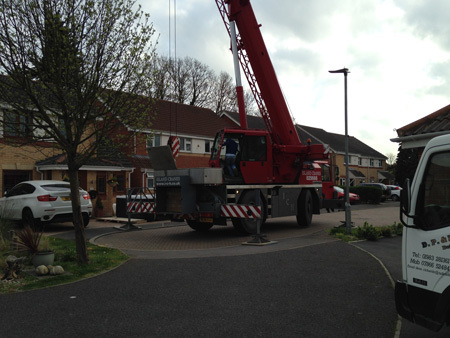 Arun sourced us a replacement when I think he would have had a case to say it was operator error. 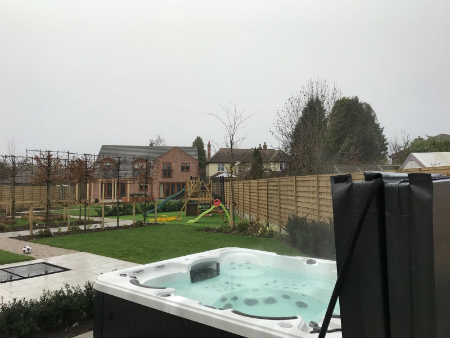 (I would state that a touch screen display is not always as responsive as you would think when wet, just look at your mobile phone in the rain. 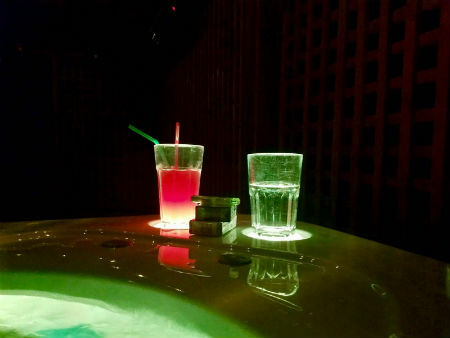 This is more of an issue with Balboa and if you know that just be patient with the touch screen with wet hands). 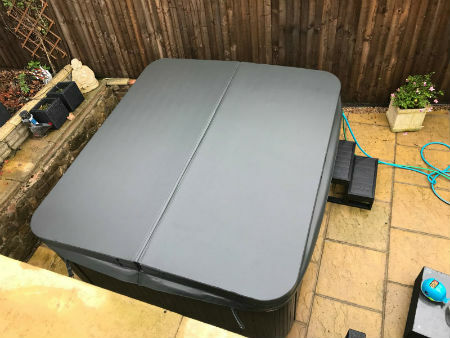 This review is based upon experience of dealing with Arun from concept, to asking stupid questions on the in-built radio over the past year and shows that the product is of a quality above its price point. 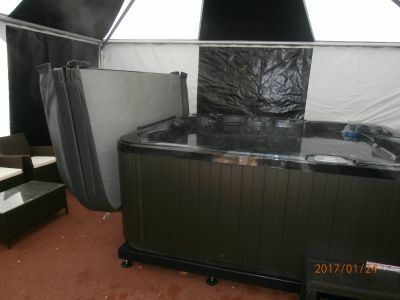 It looks just as any other commercial one in a gym. 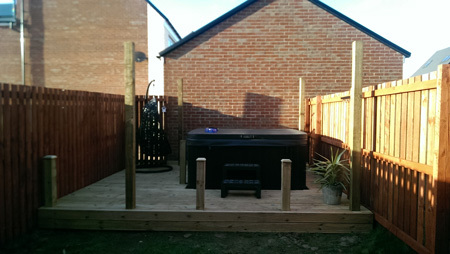 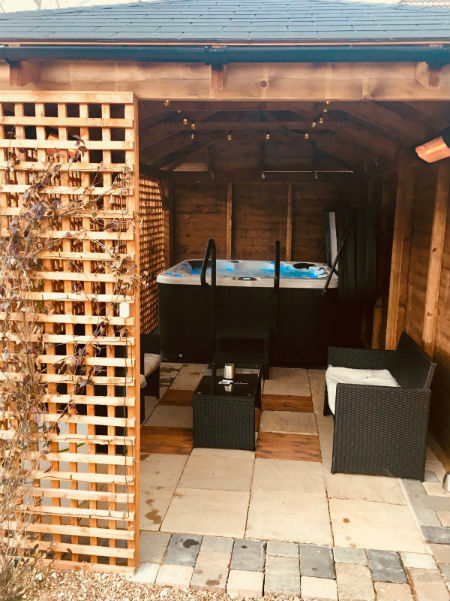 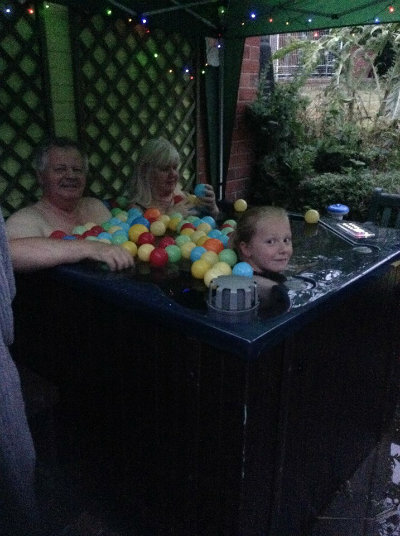 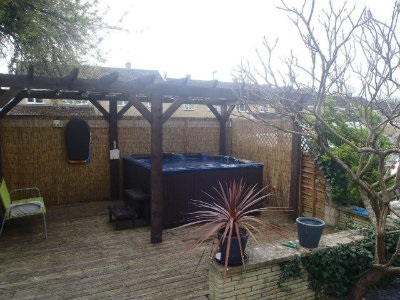 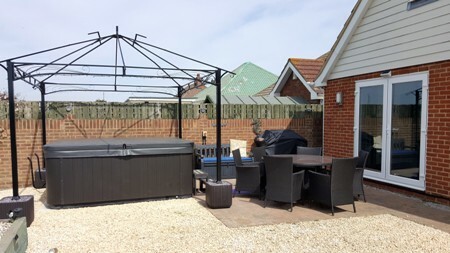 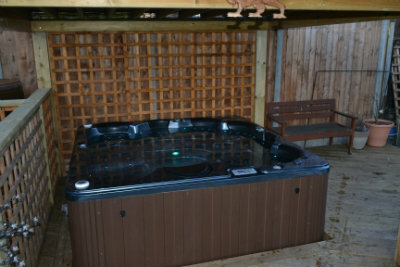 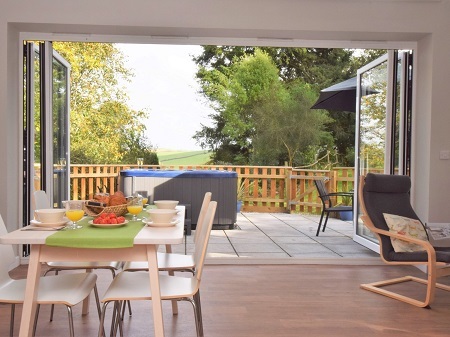 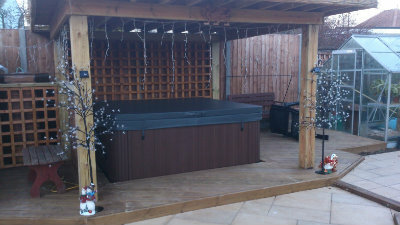 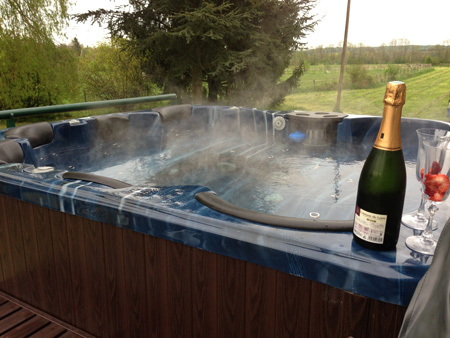 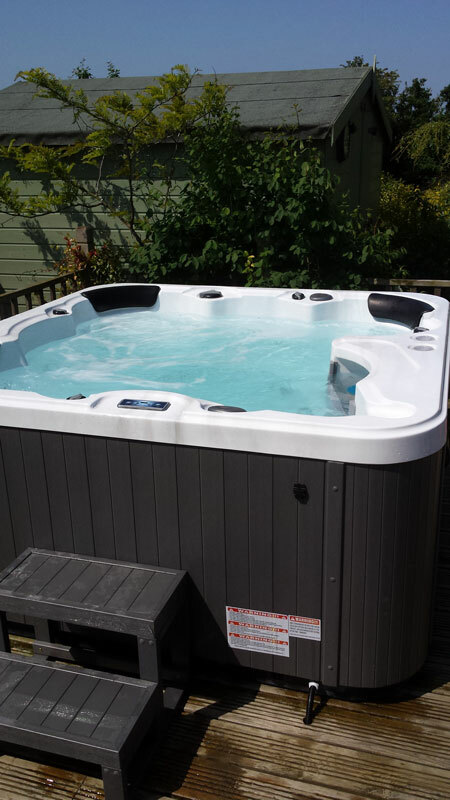 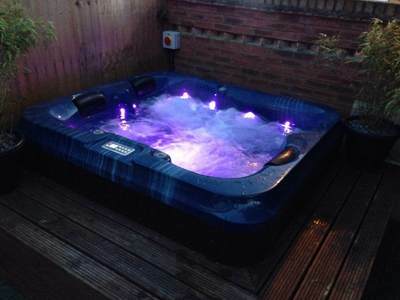 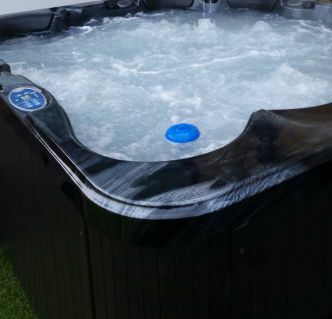 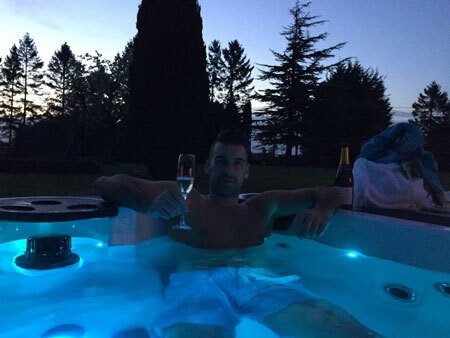 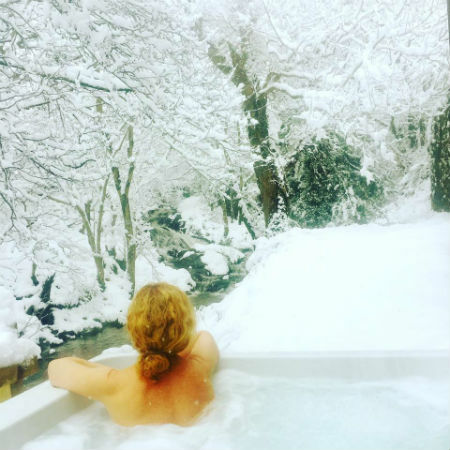 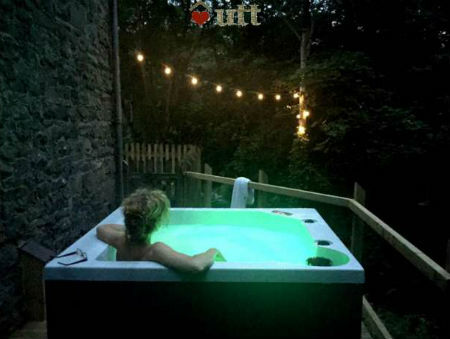 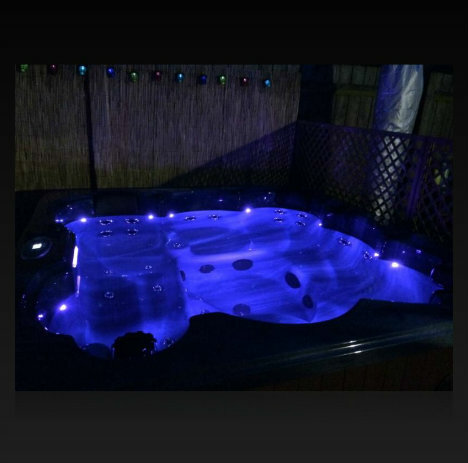 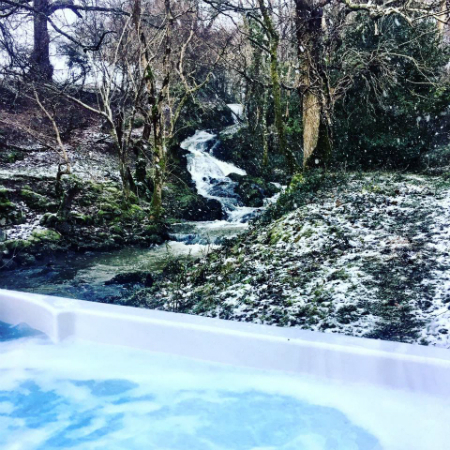 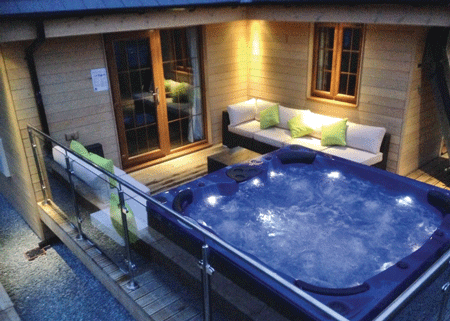 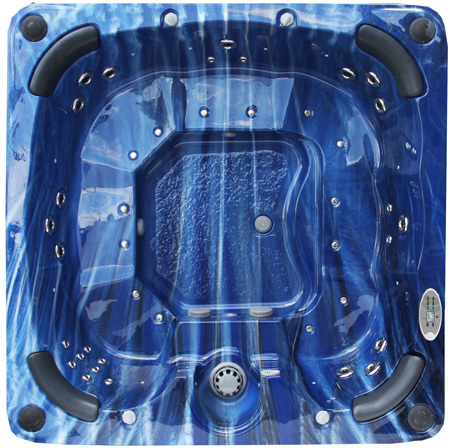 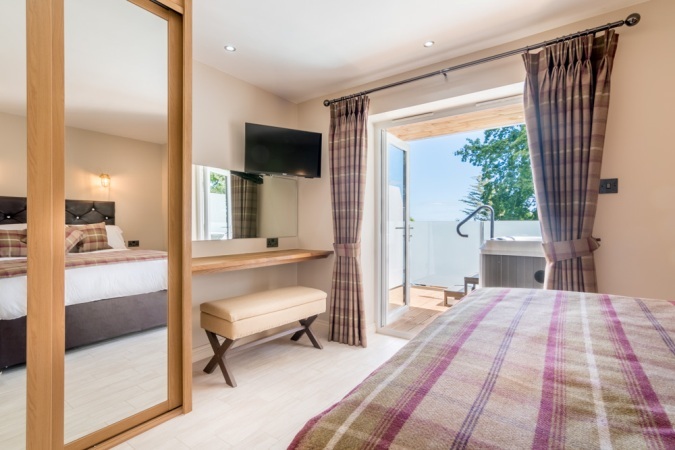 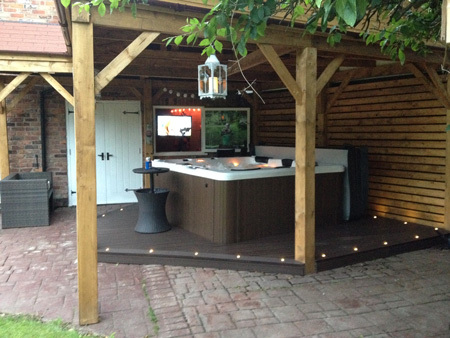 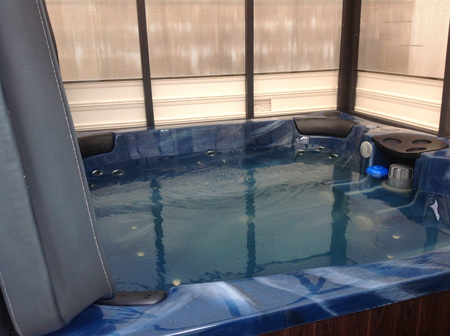 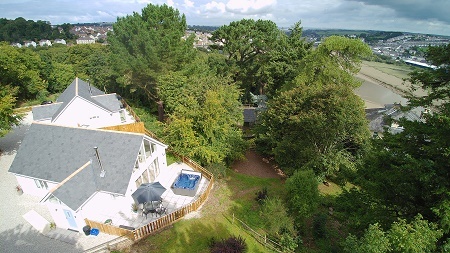 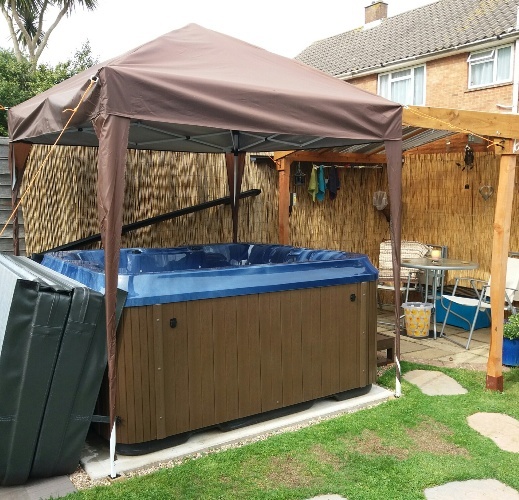 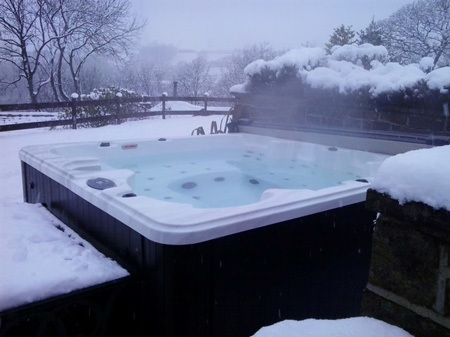 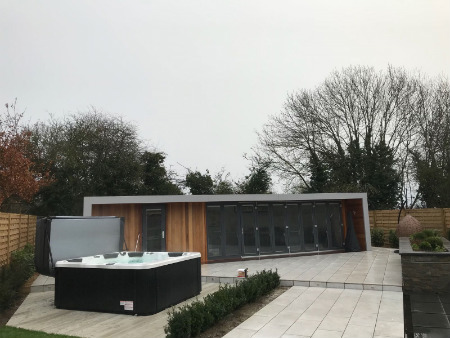 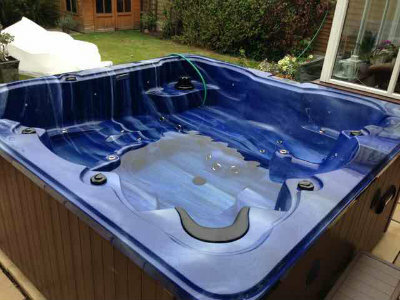 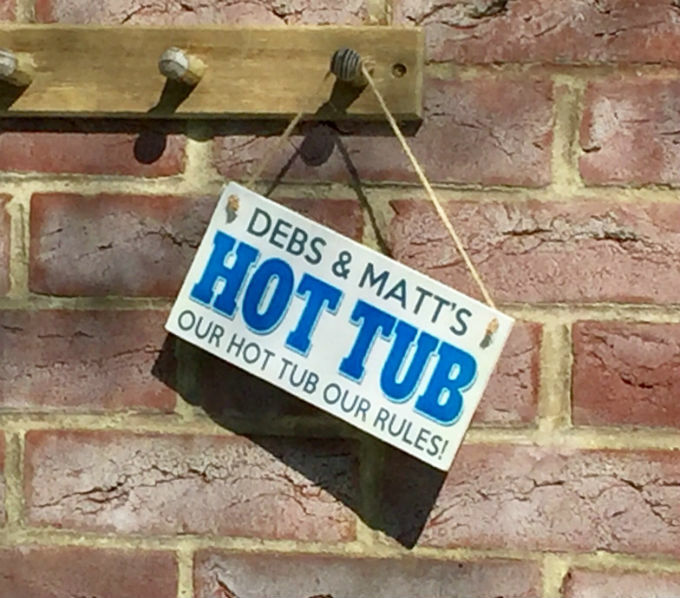 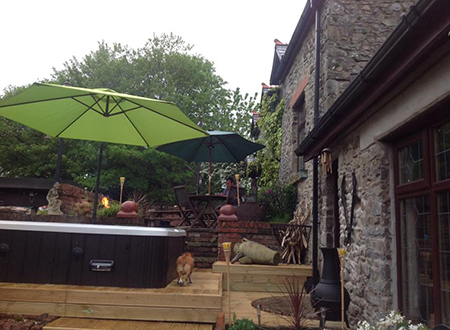 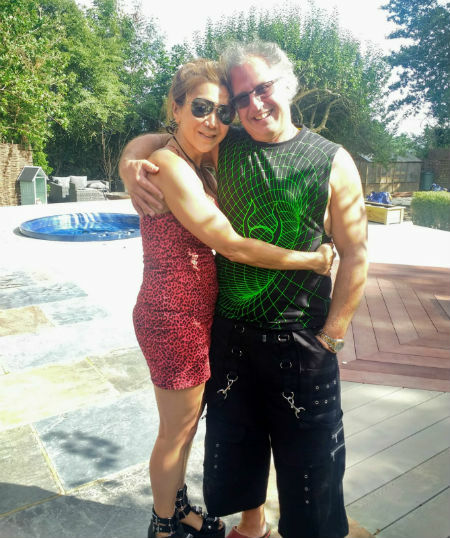 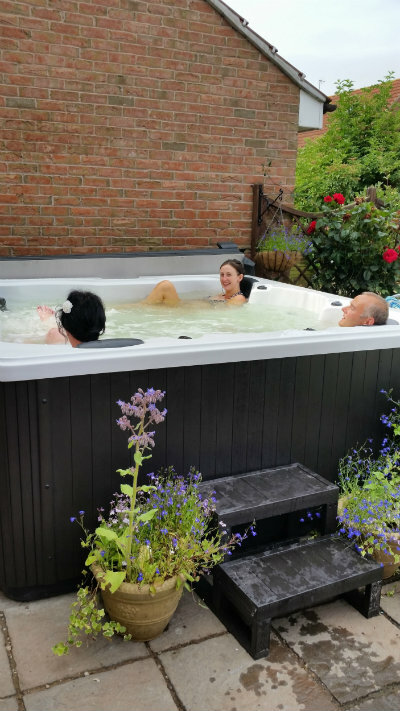 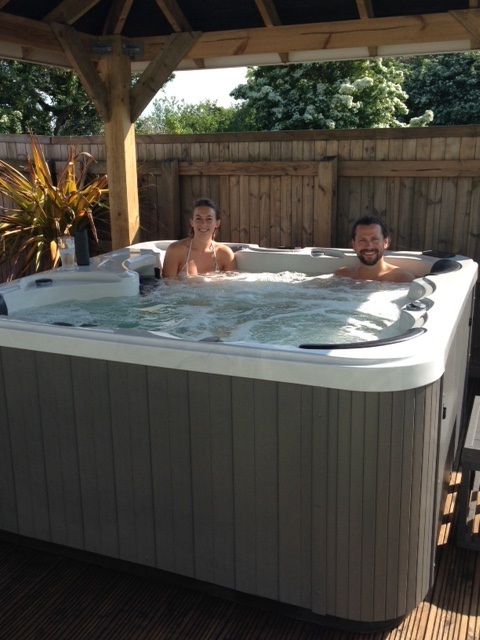 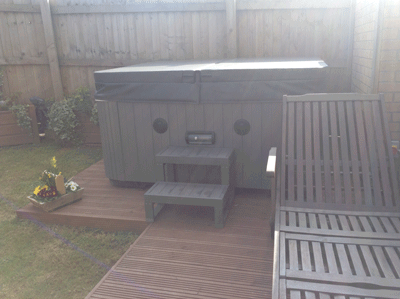 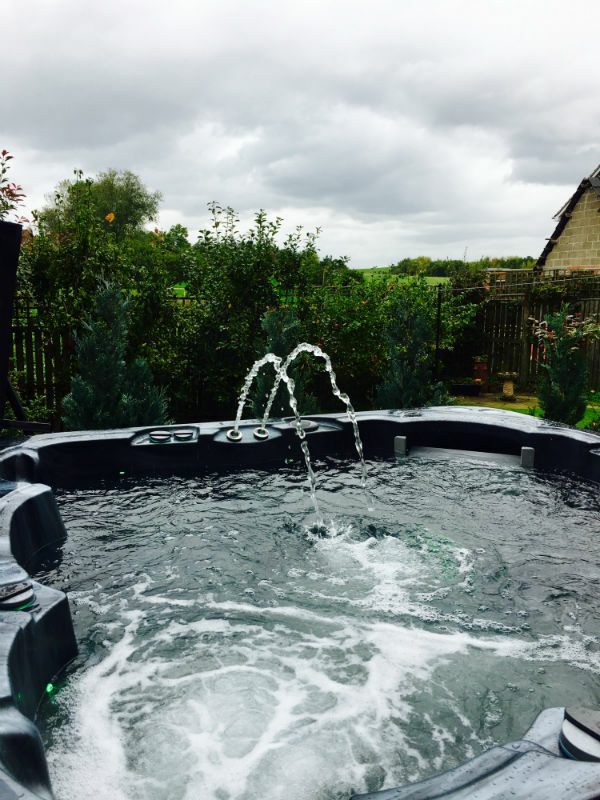 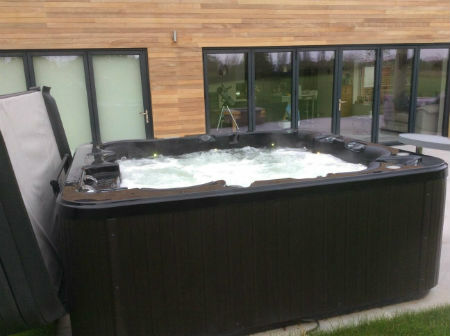 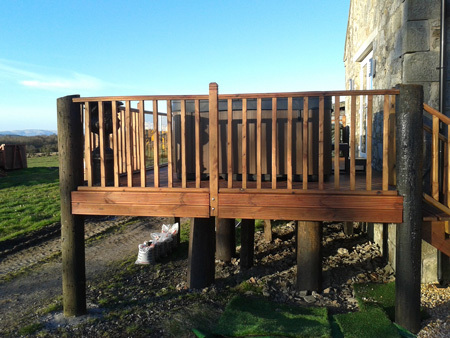 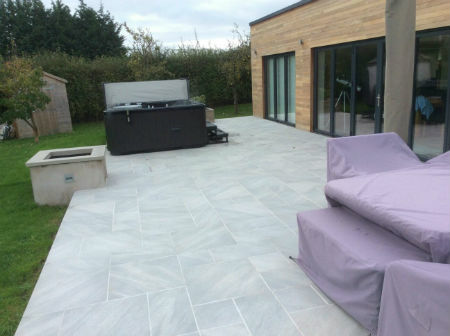 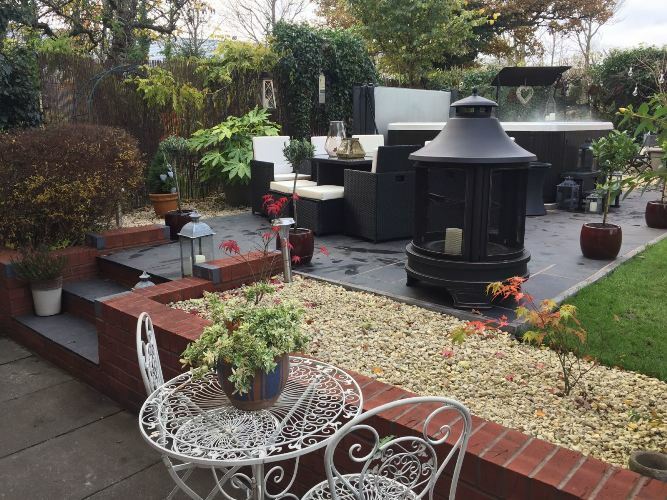 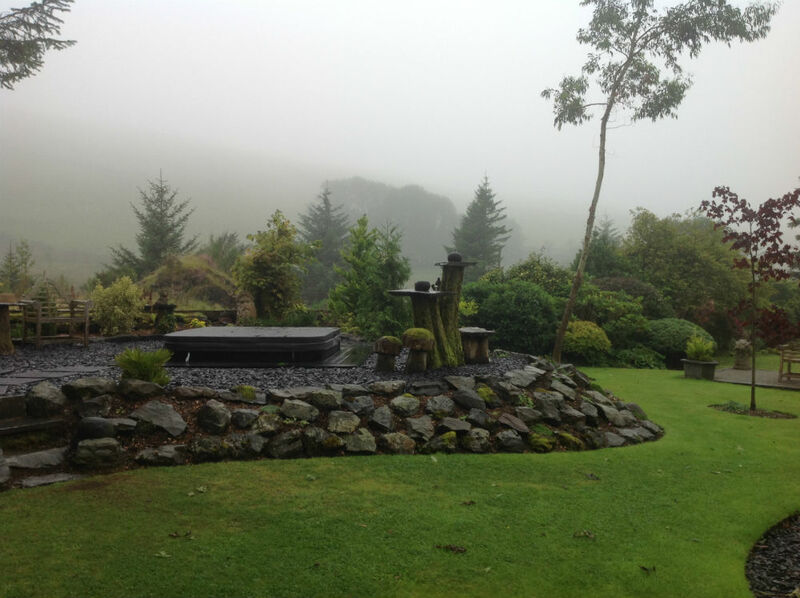 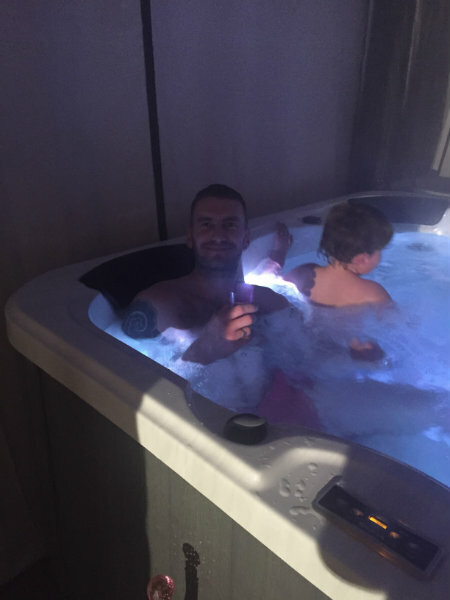 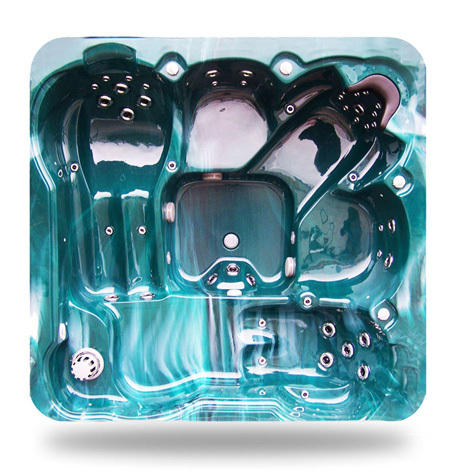 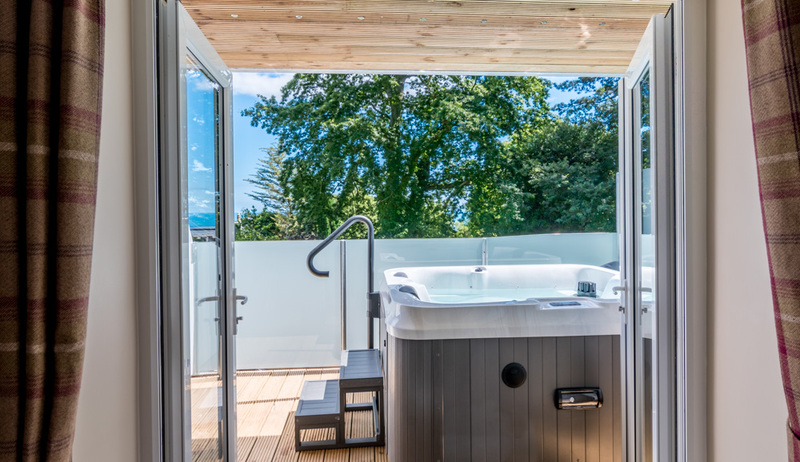 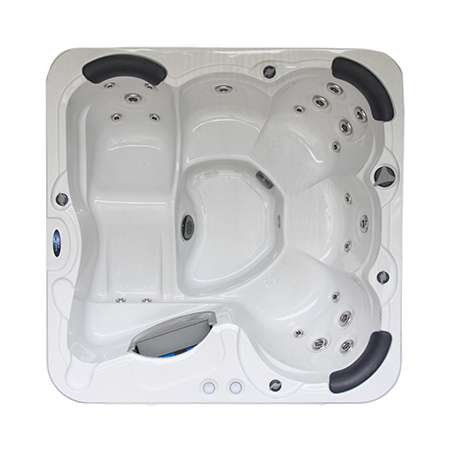 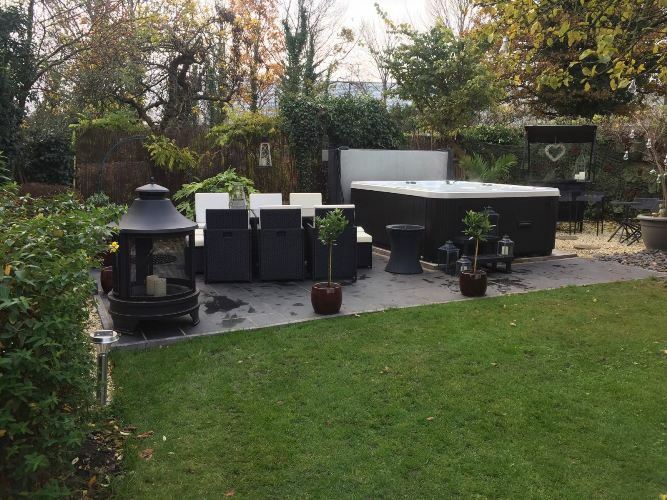 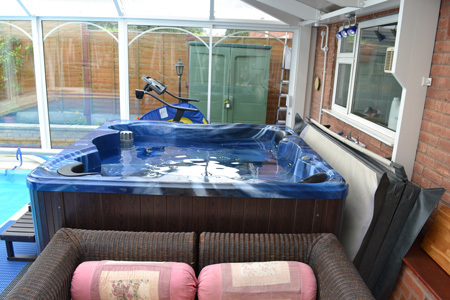 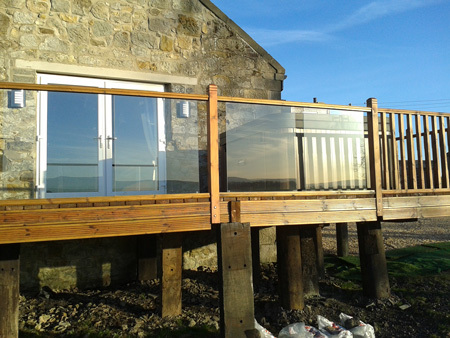 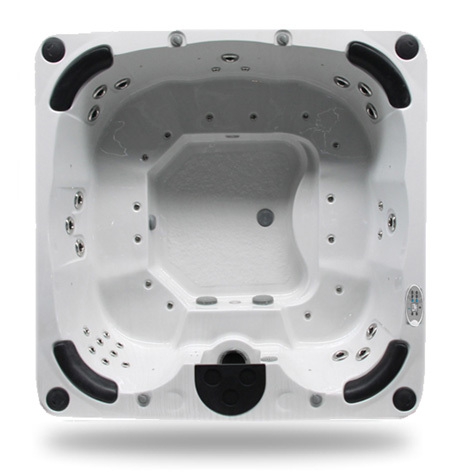 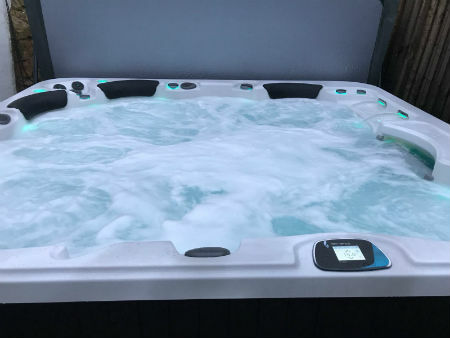 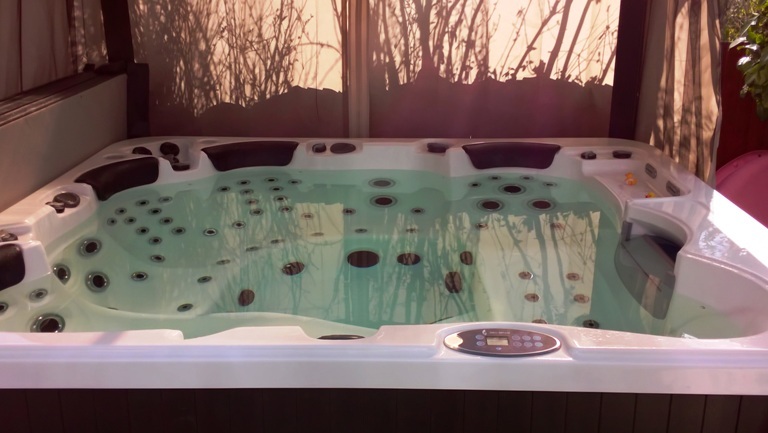 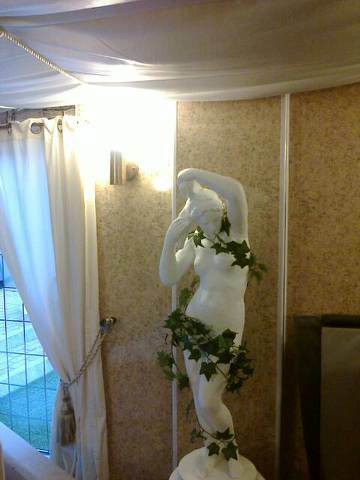 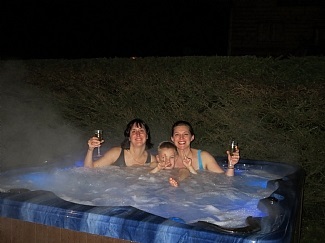 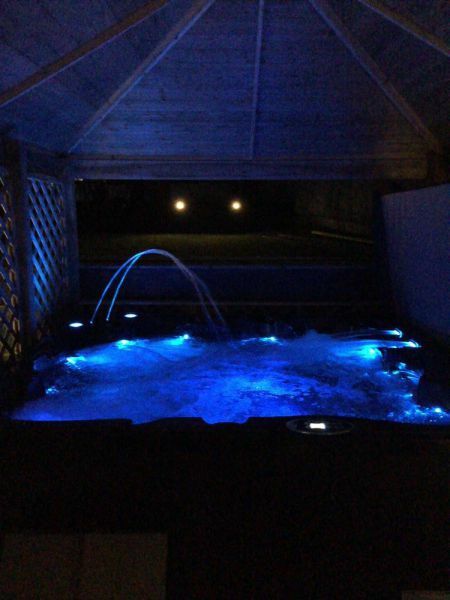 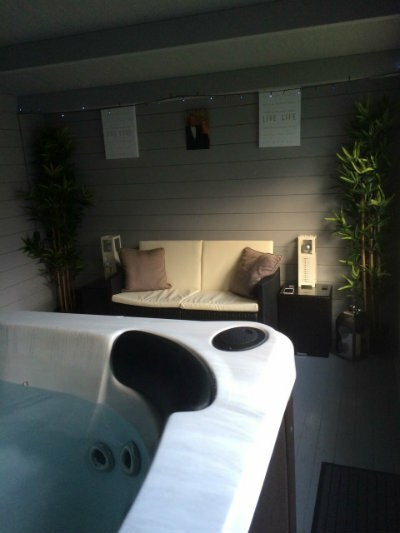 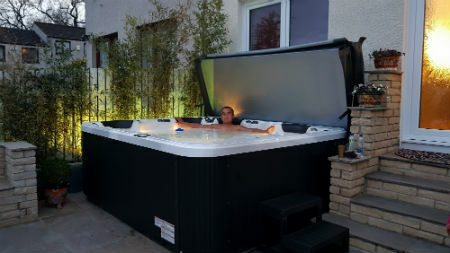 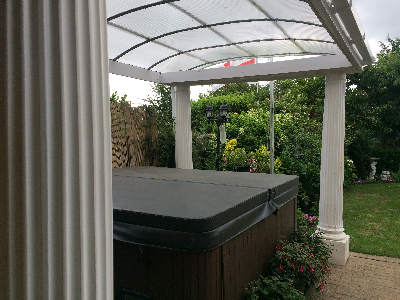 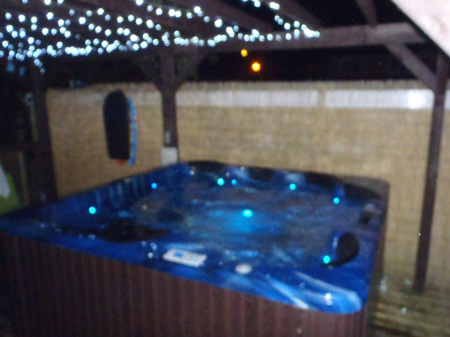 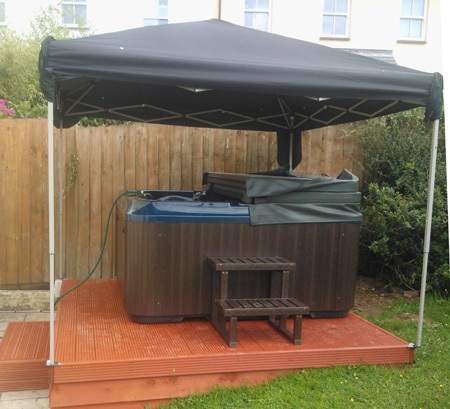 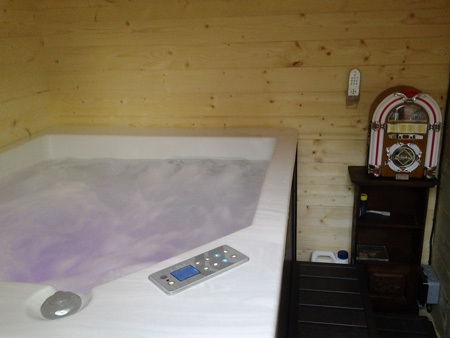 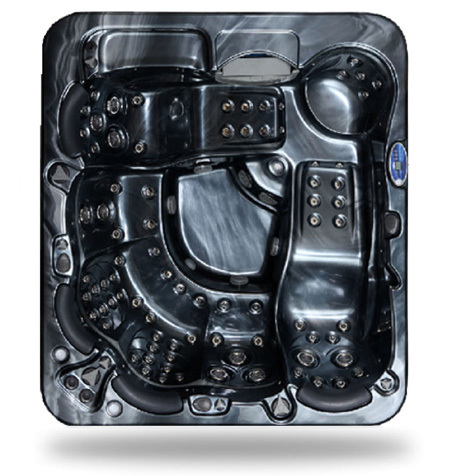 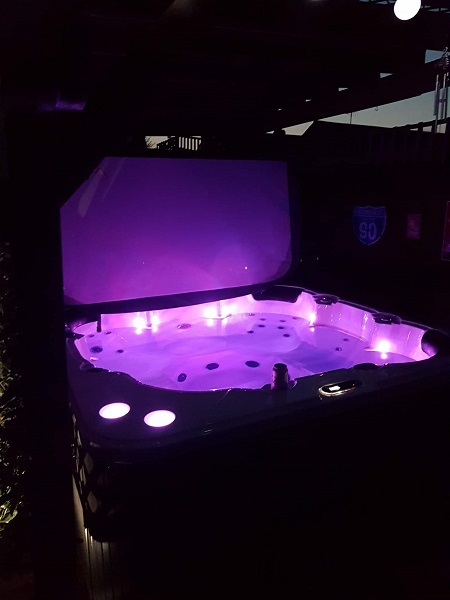 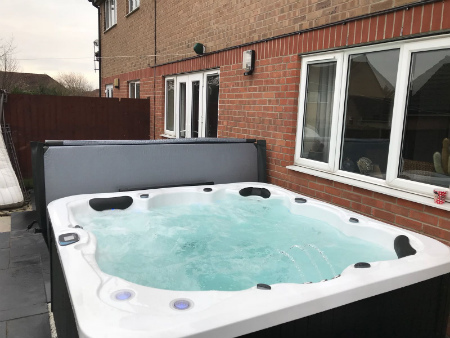 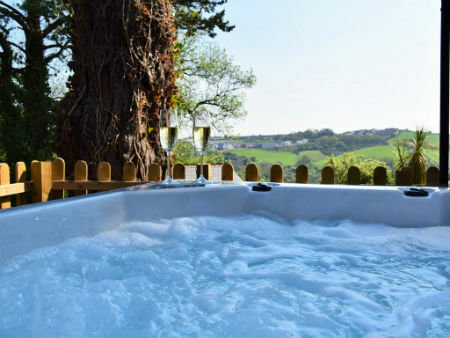 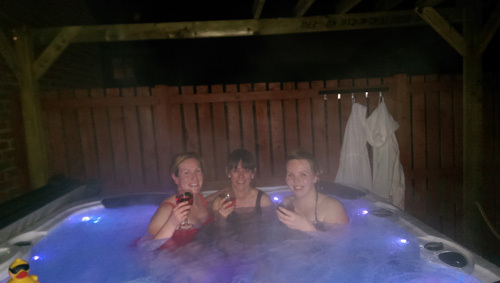 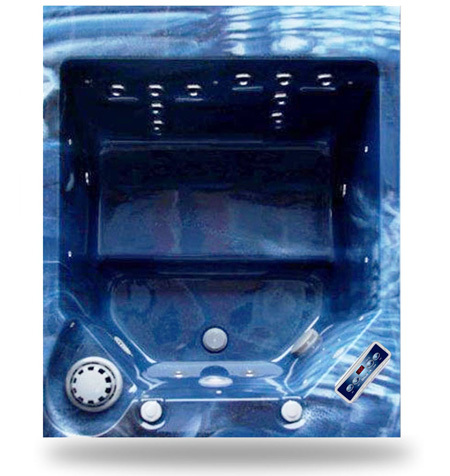 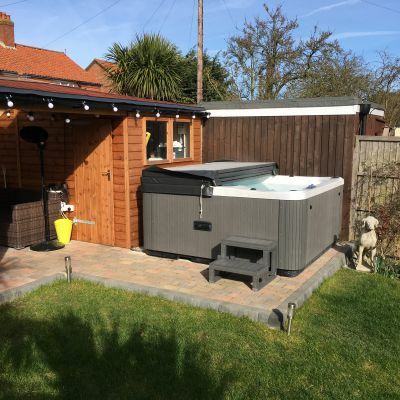 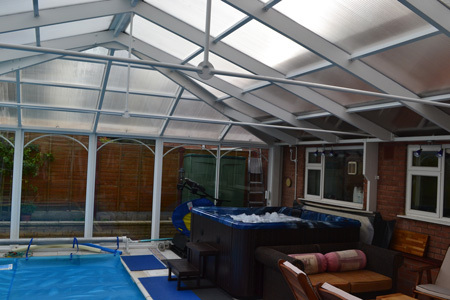 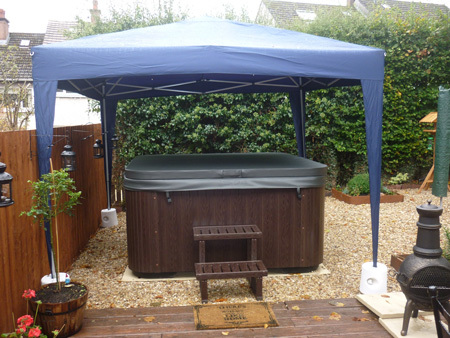 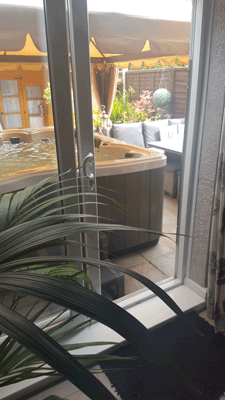 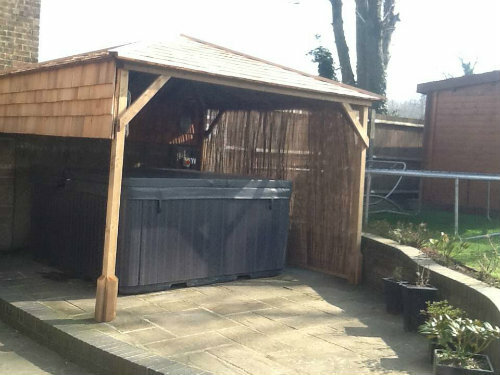 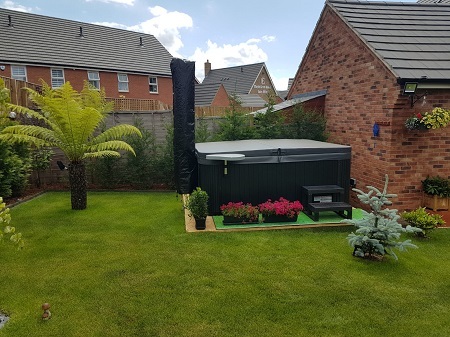 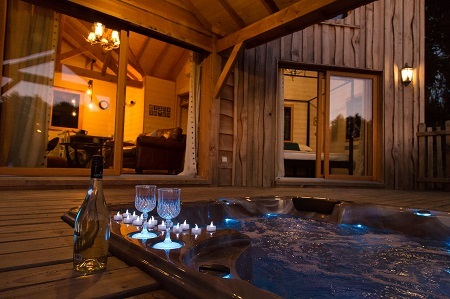 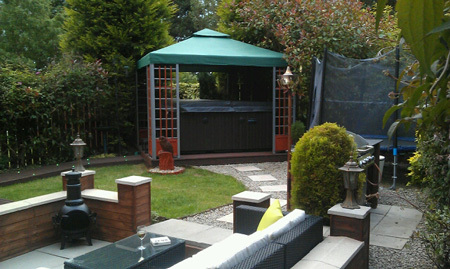 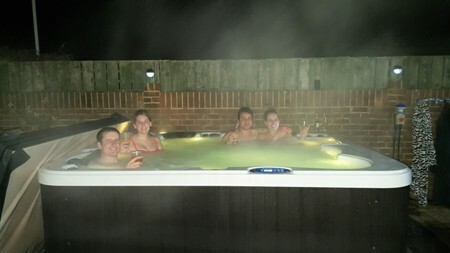 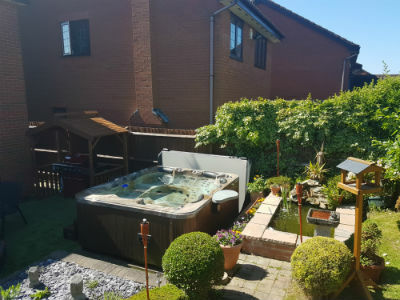 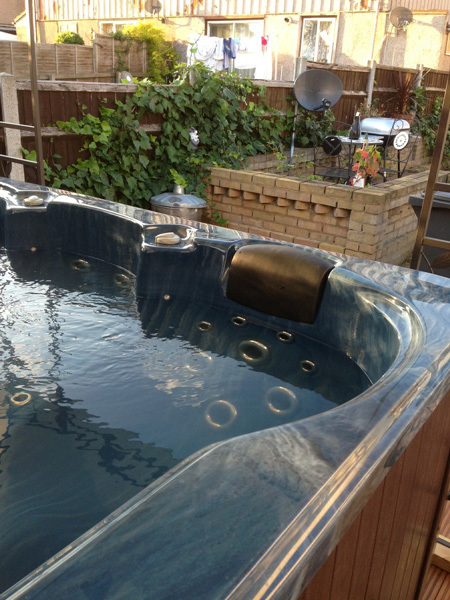 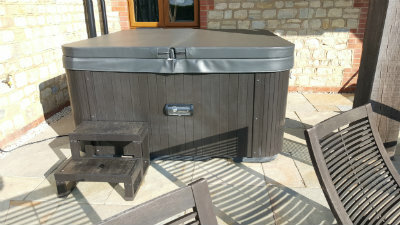 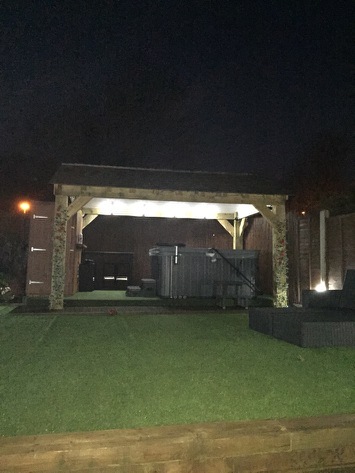 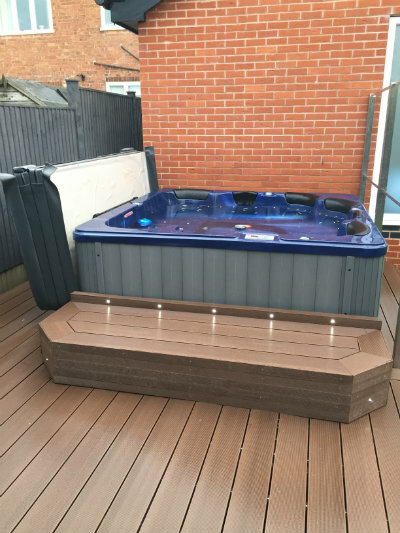 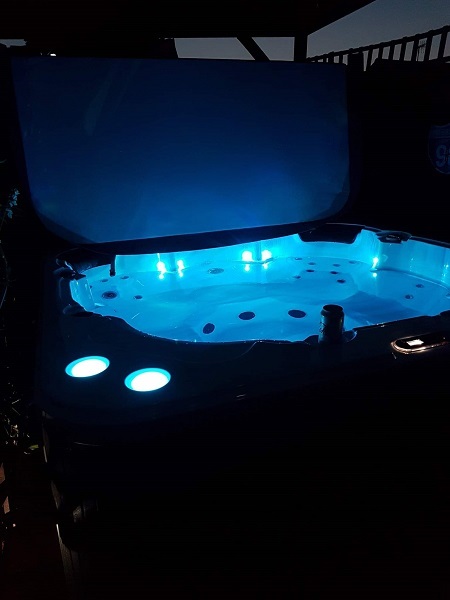 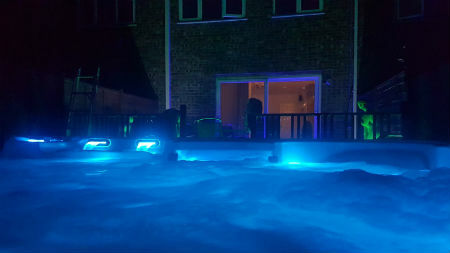 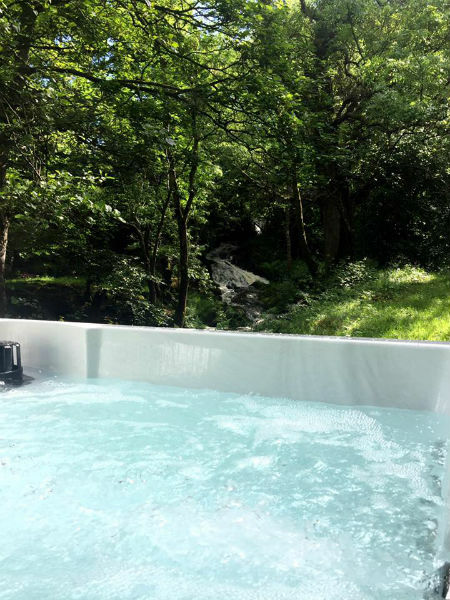 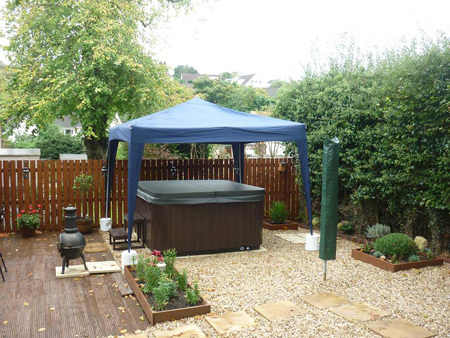 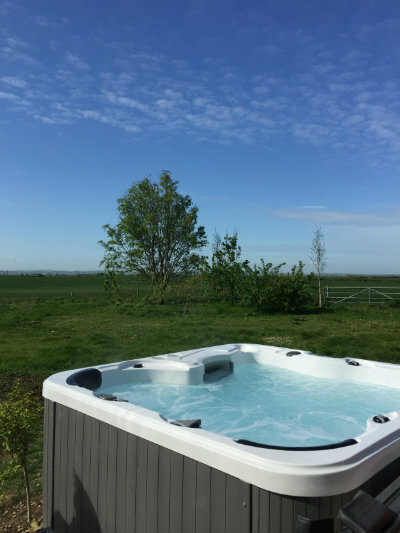 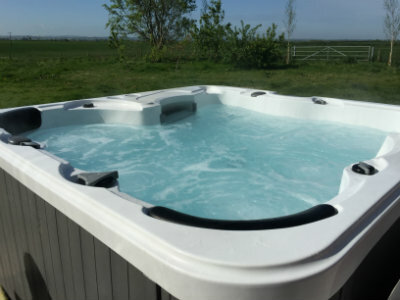 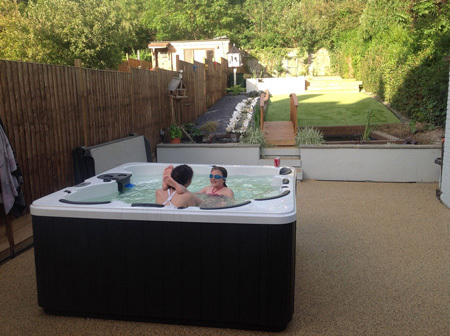 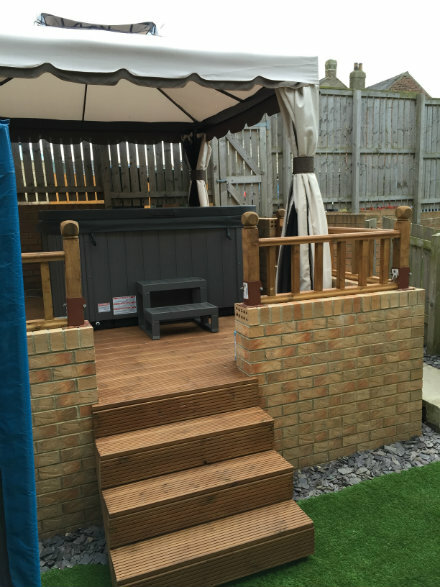 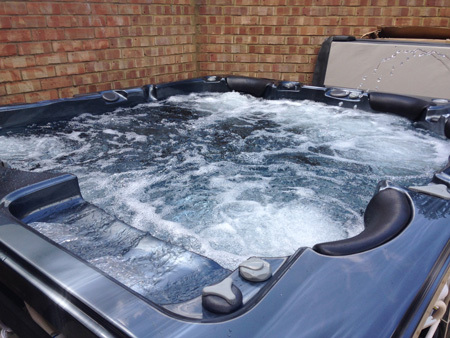 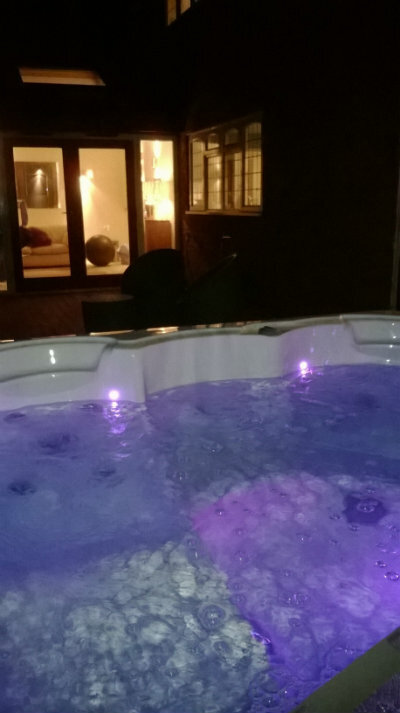 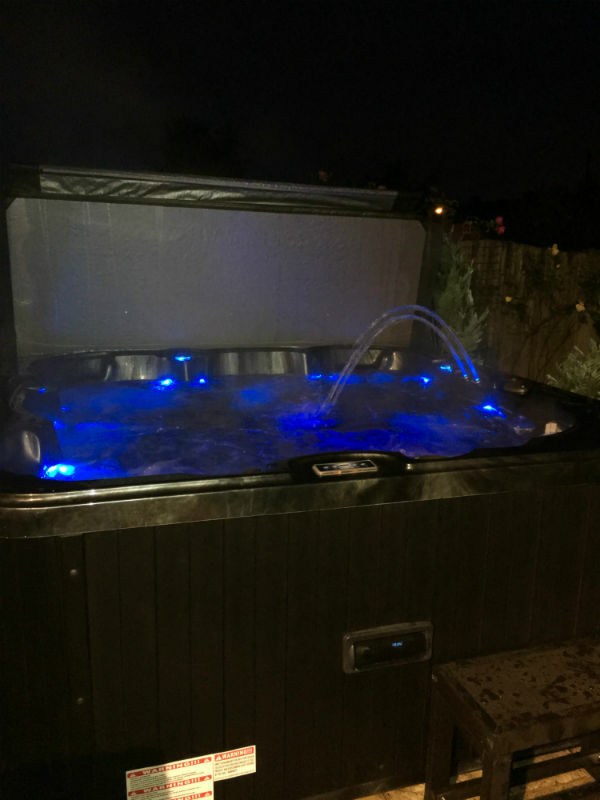 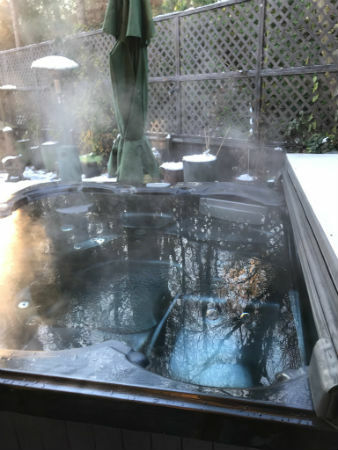 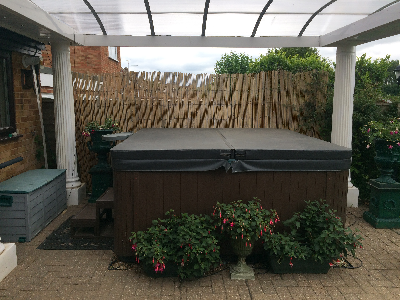 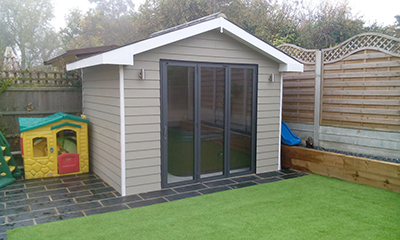 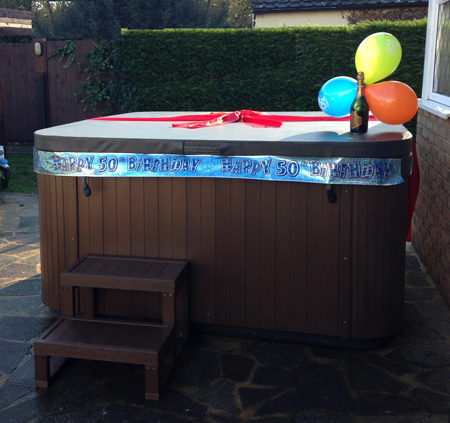 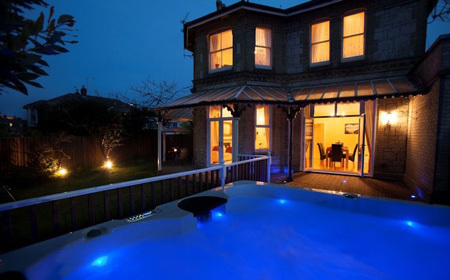 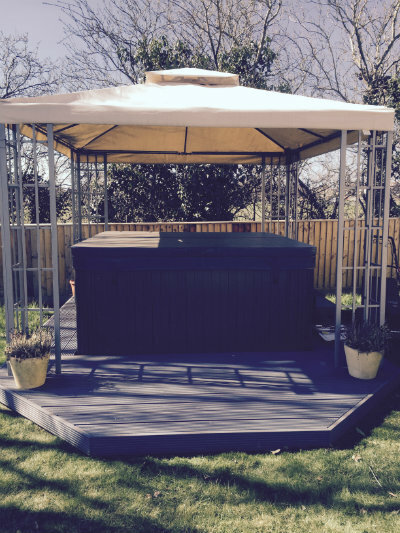 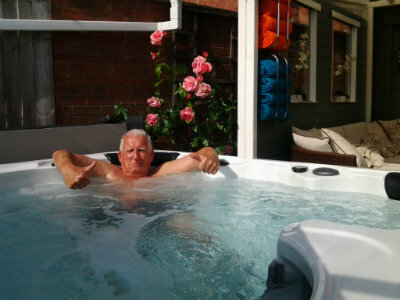 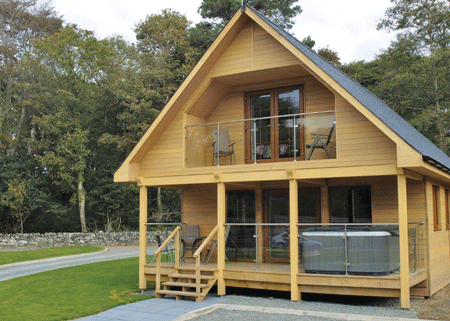 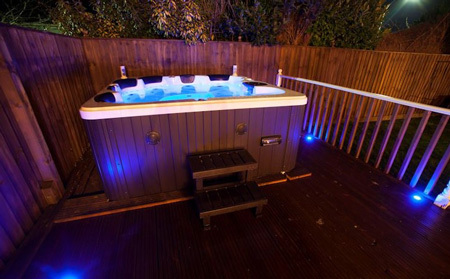 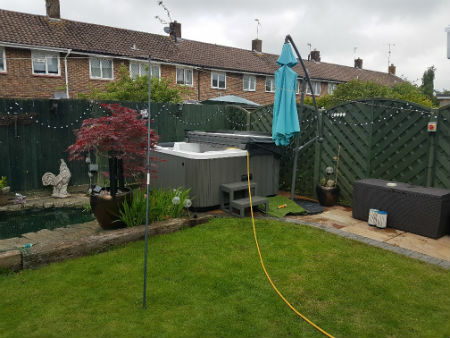 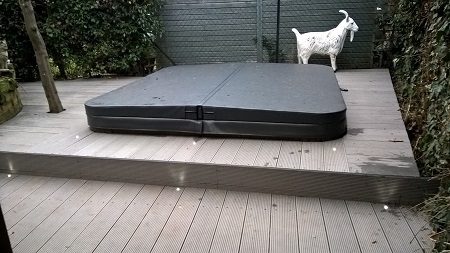 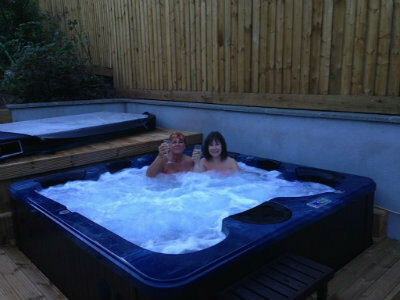 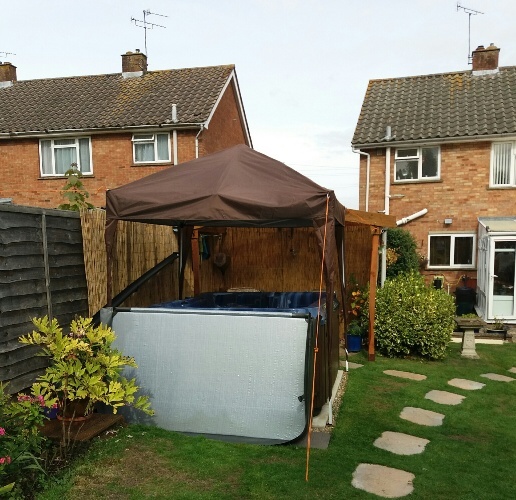 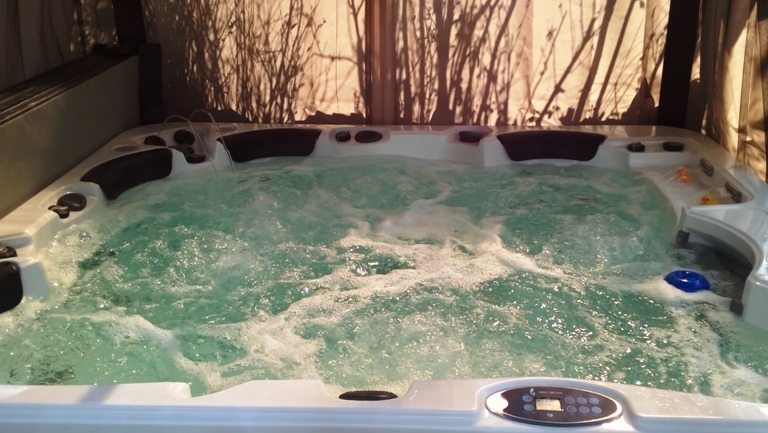 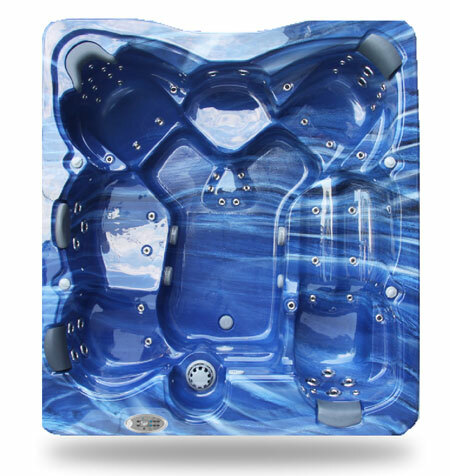 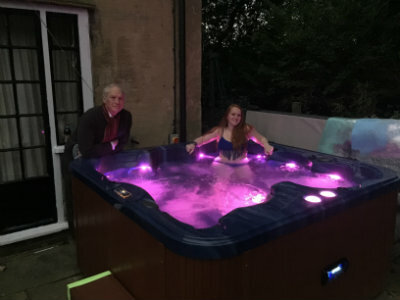 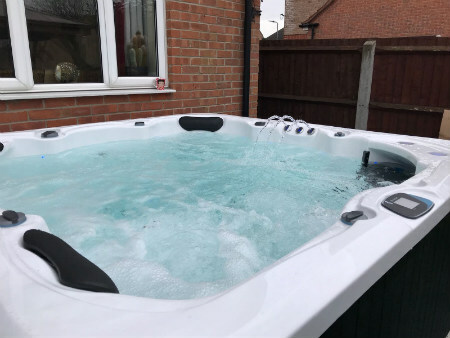 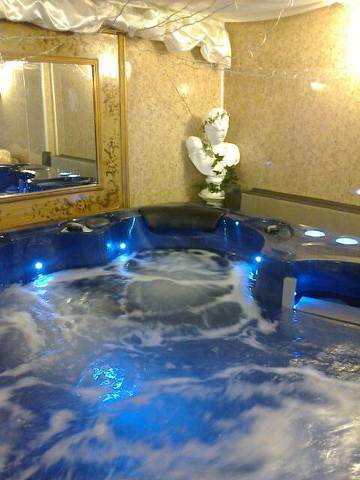 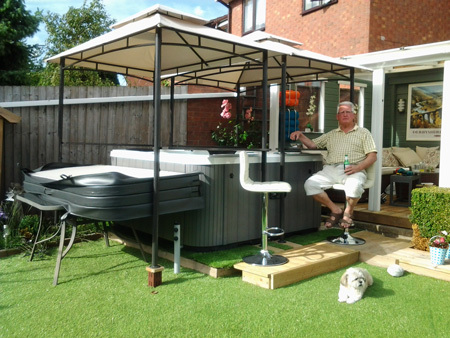 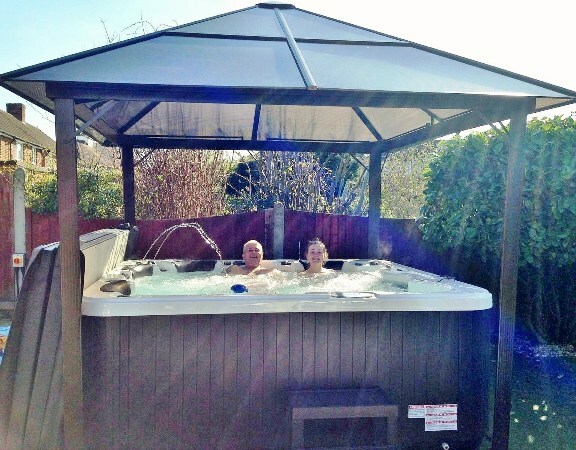 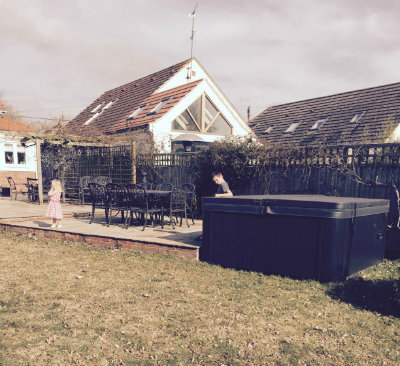 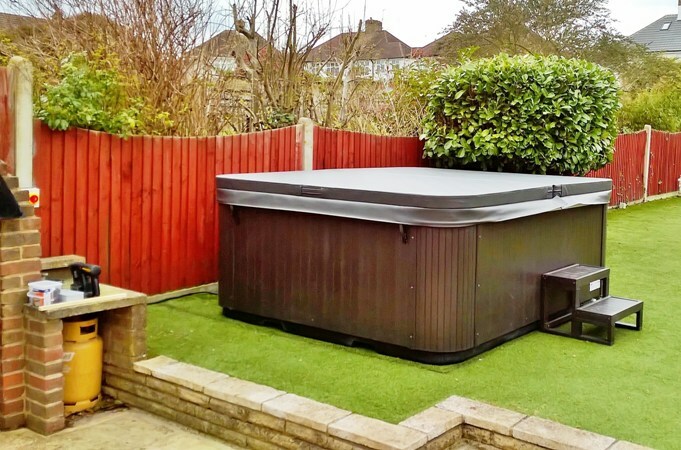 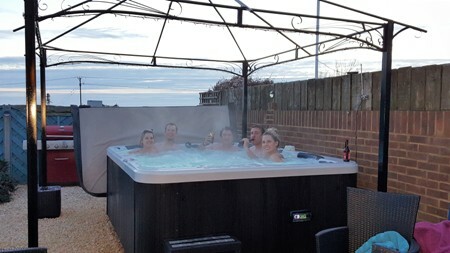 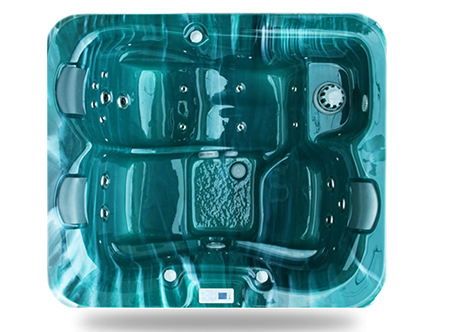 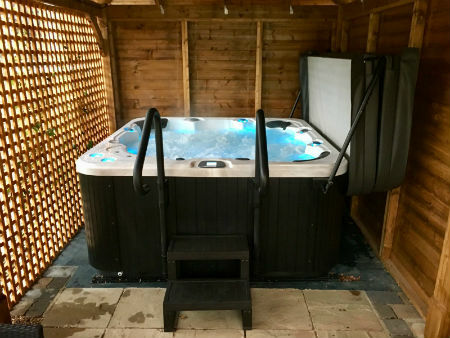 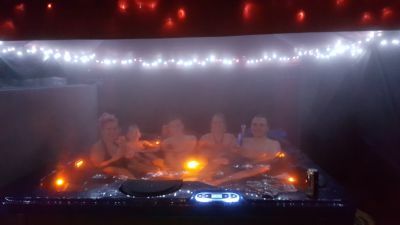 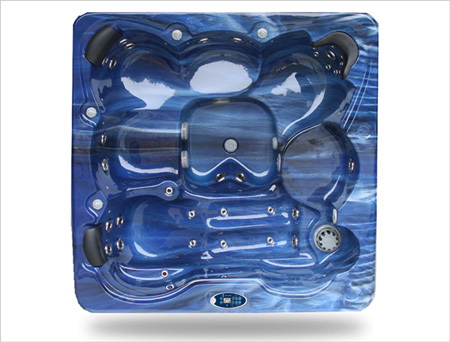 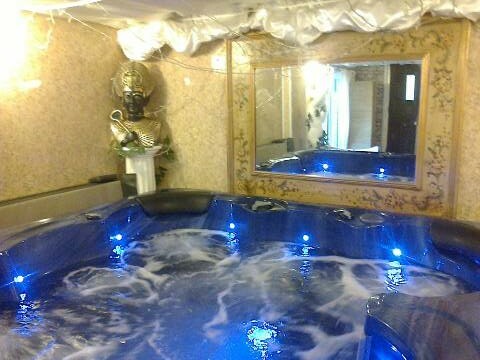 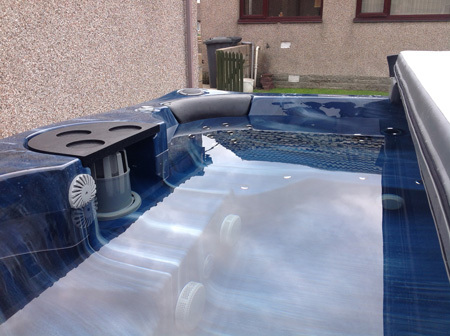 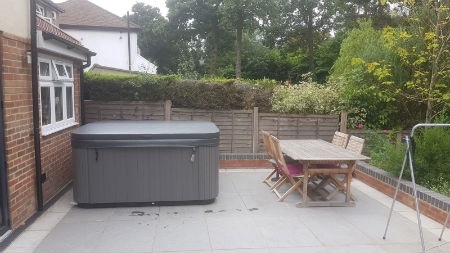 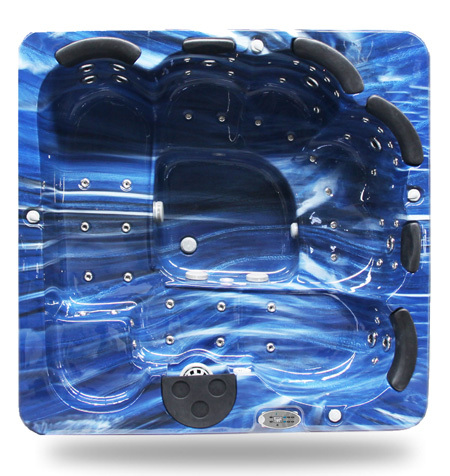 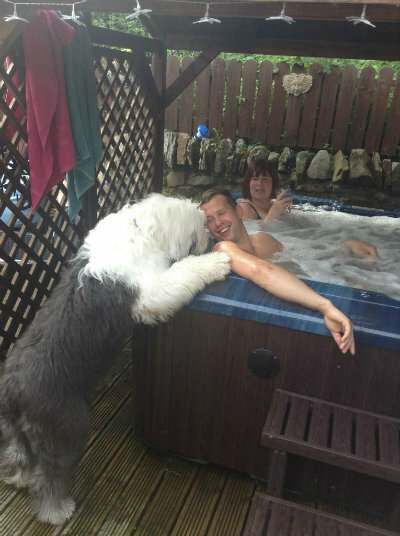 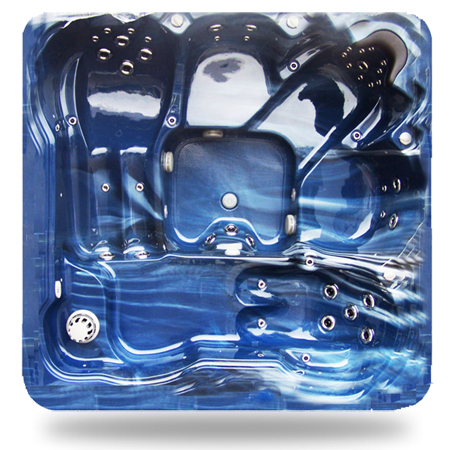 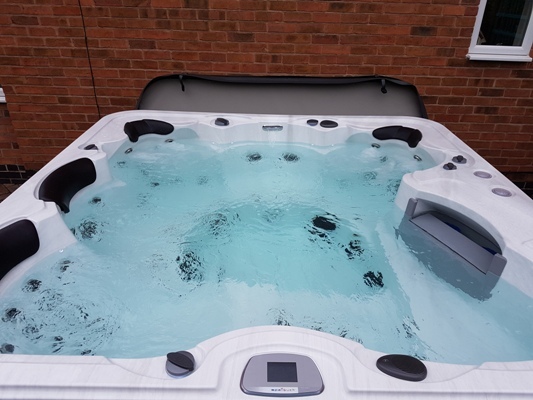 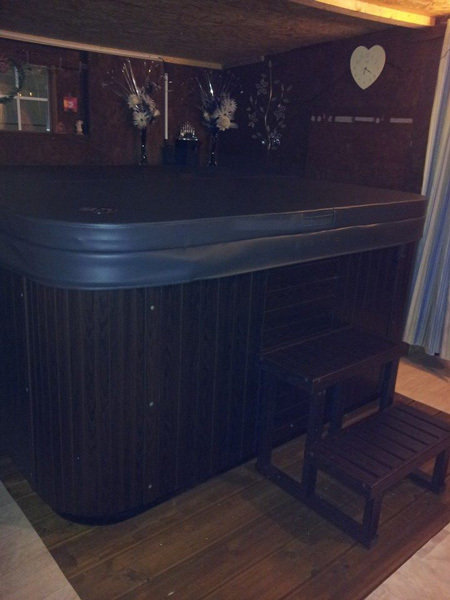 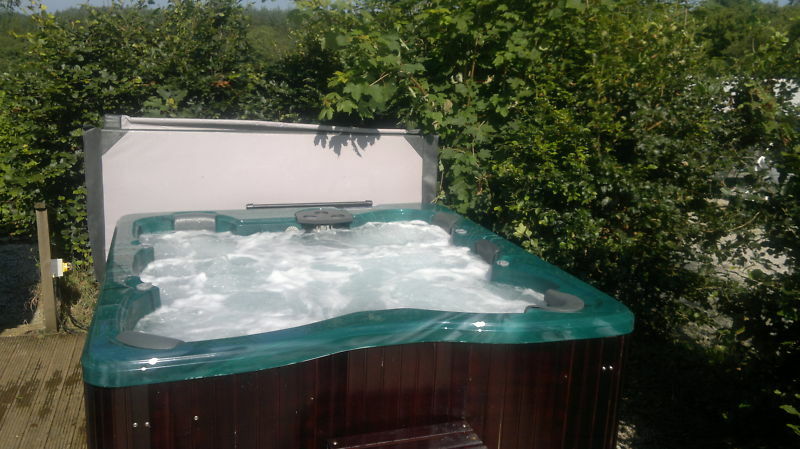 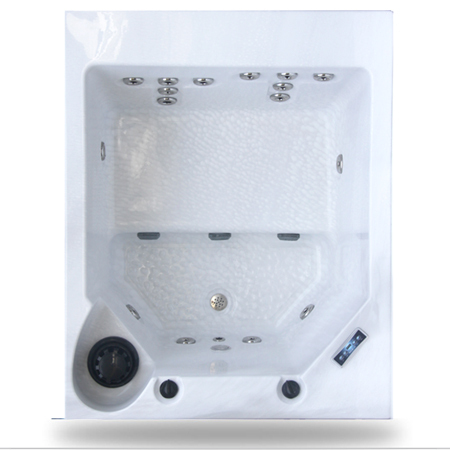 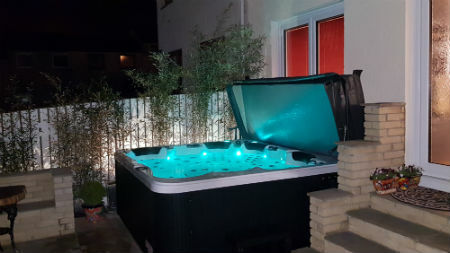 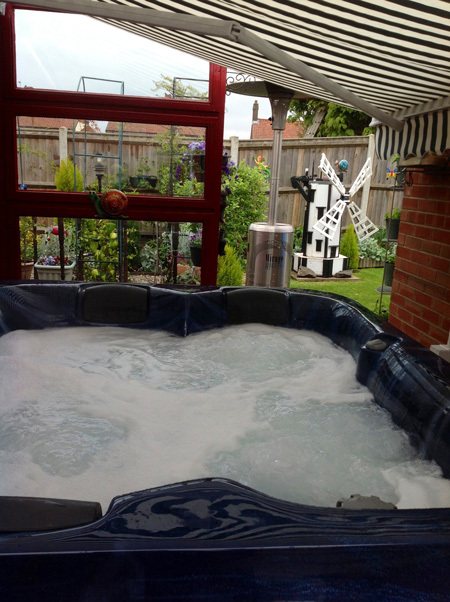 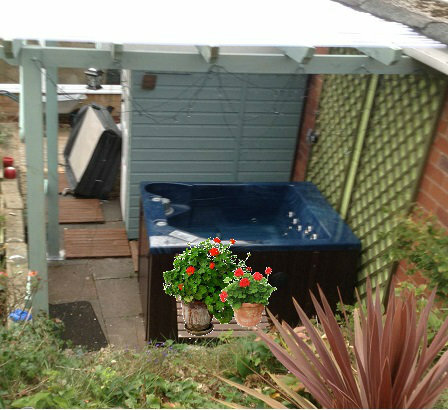 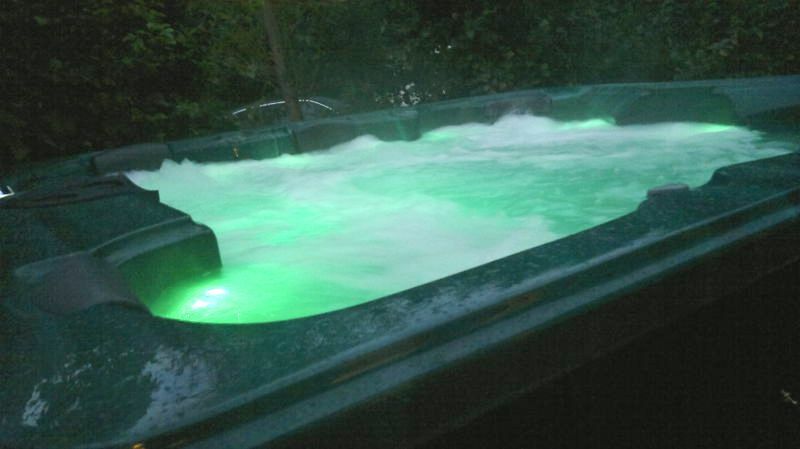 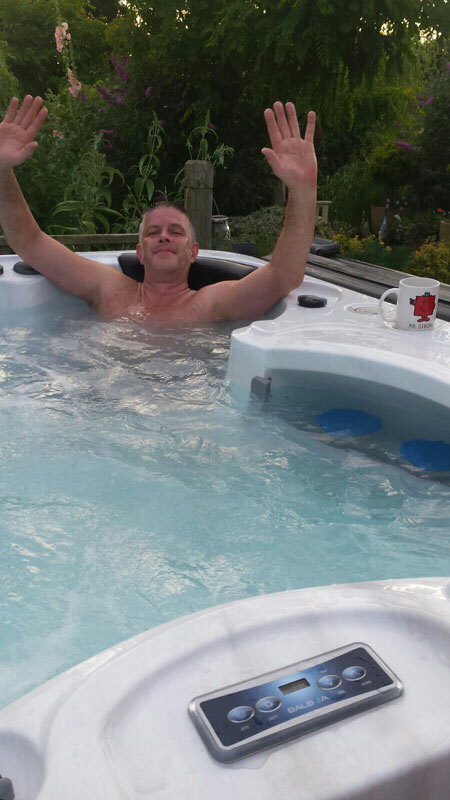 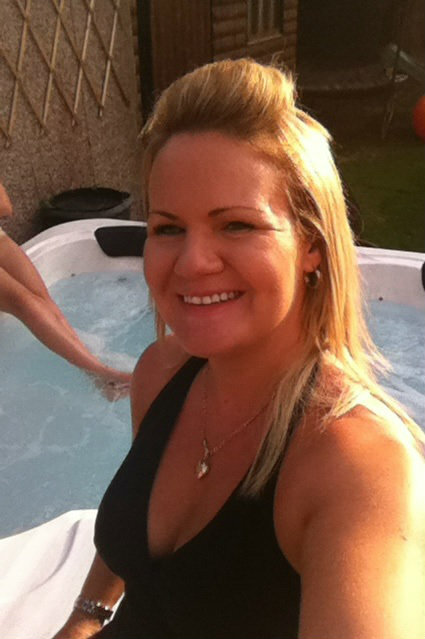 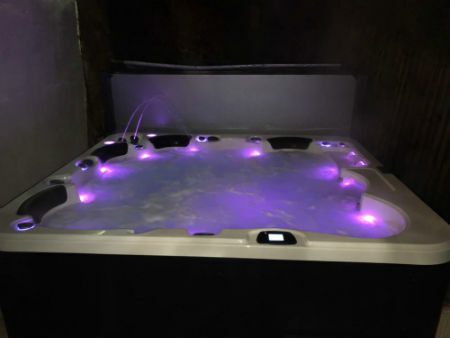 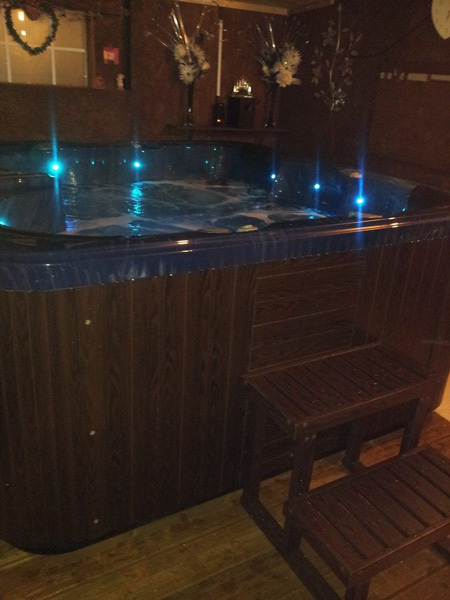 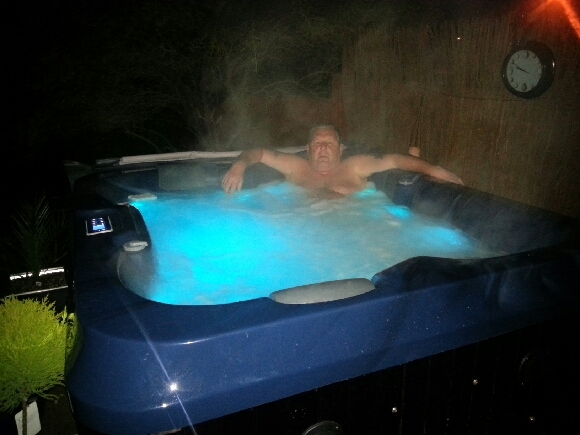 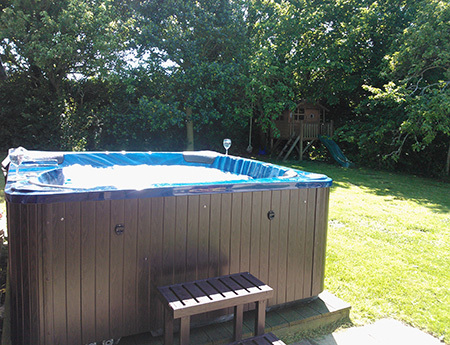 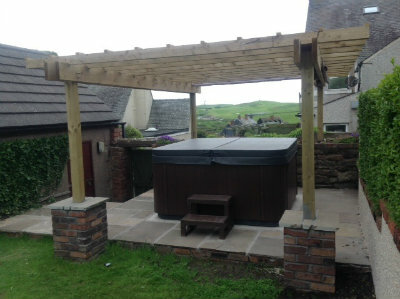 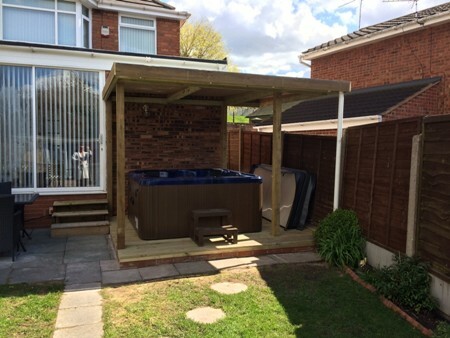 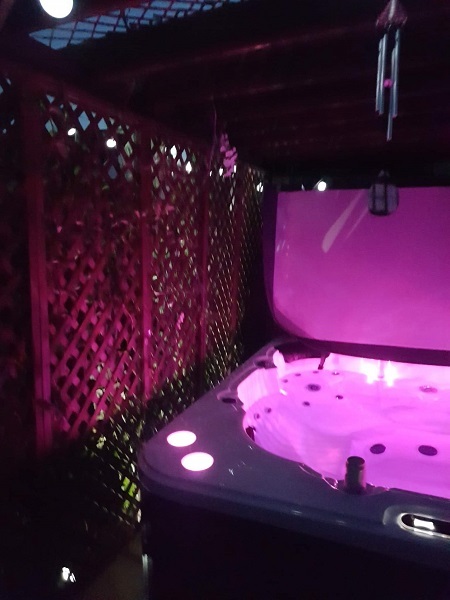 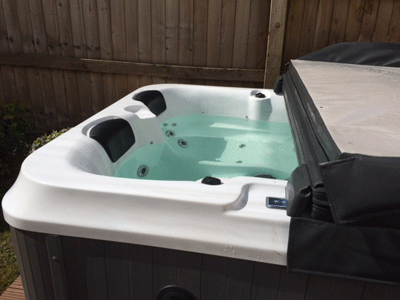 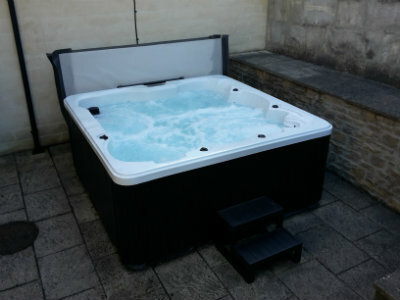 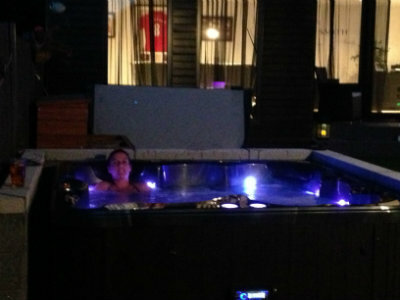 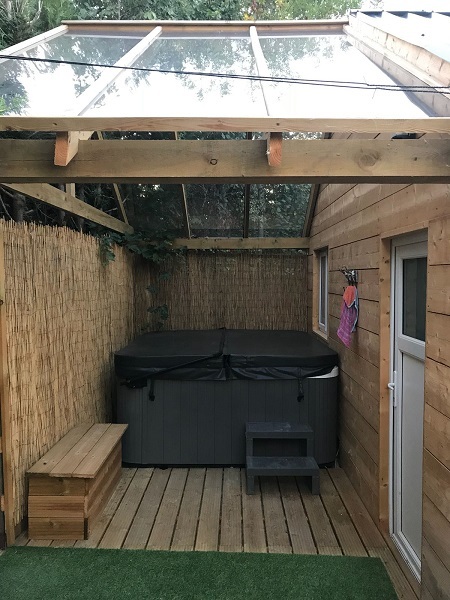 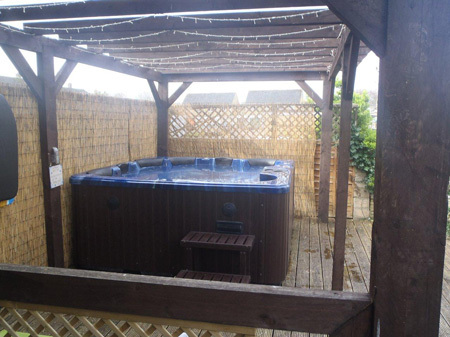 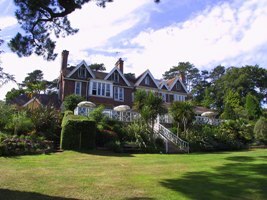 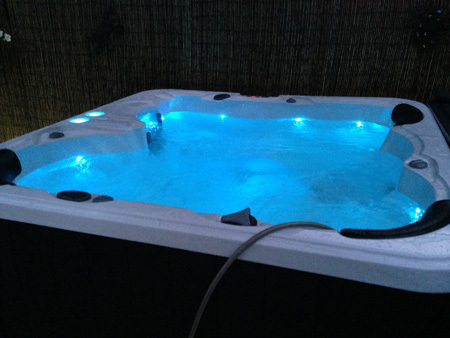 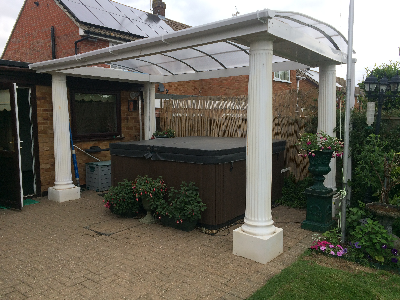 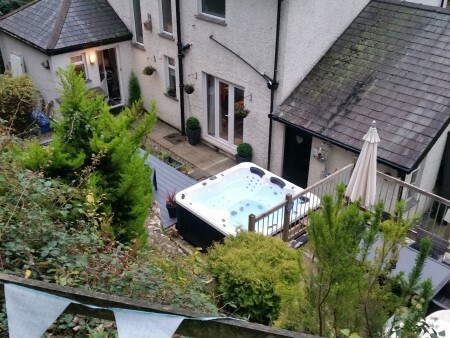 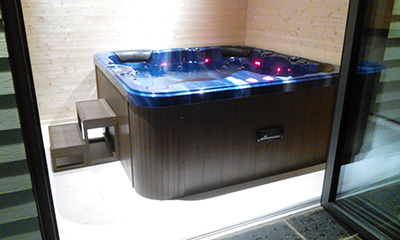 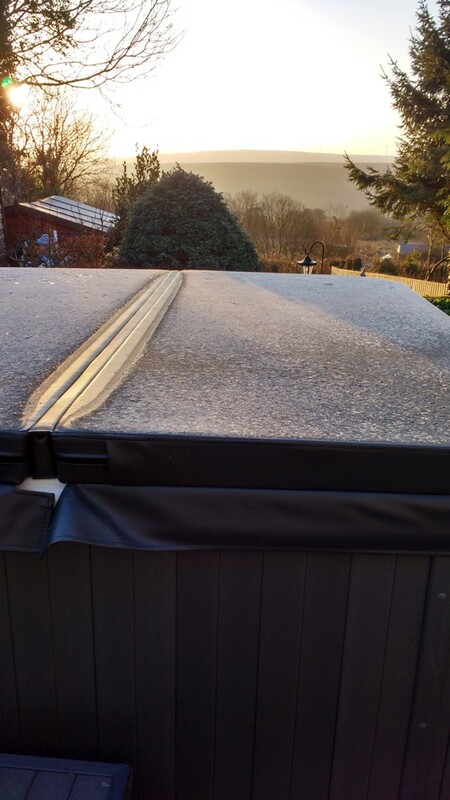 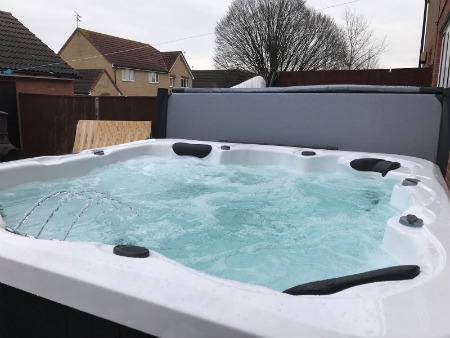 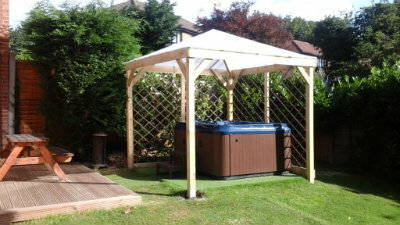 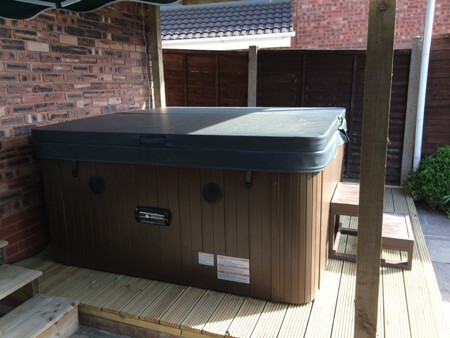 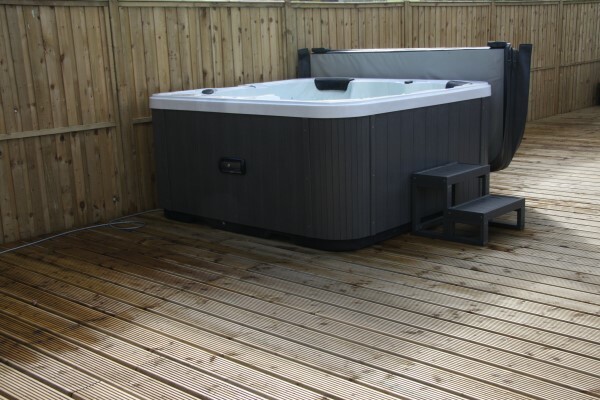 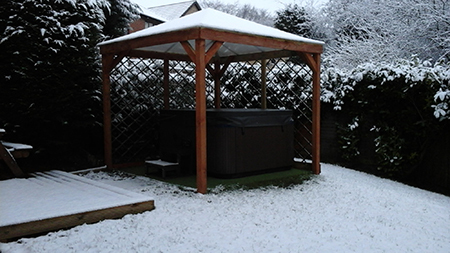 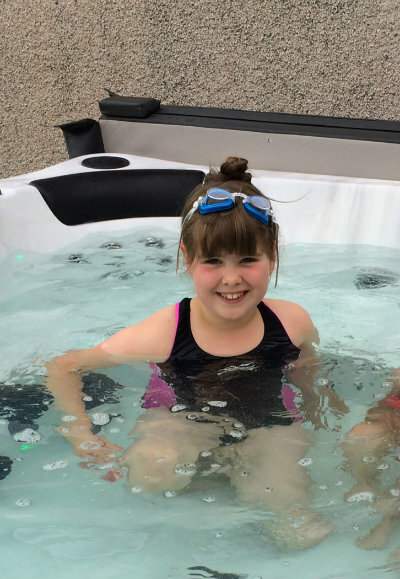 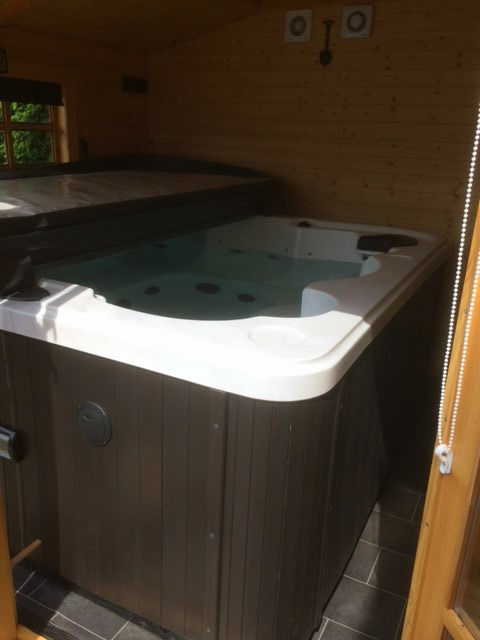 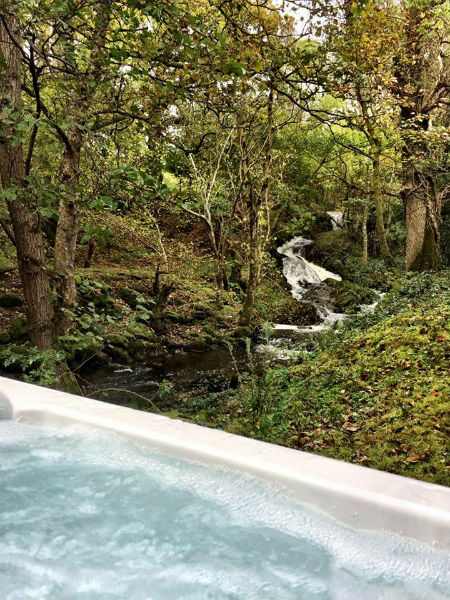 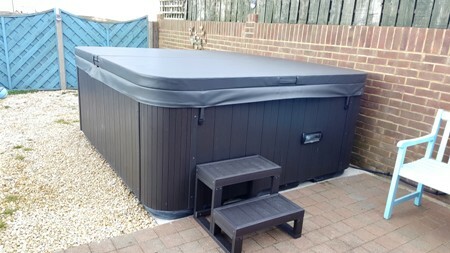 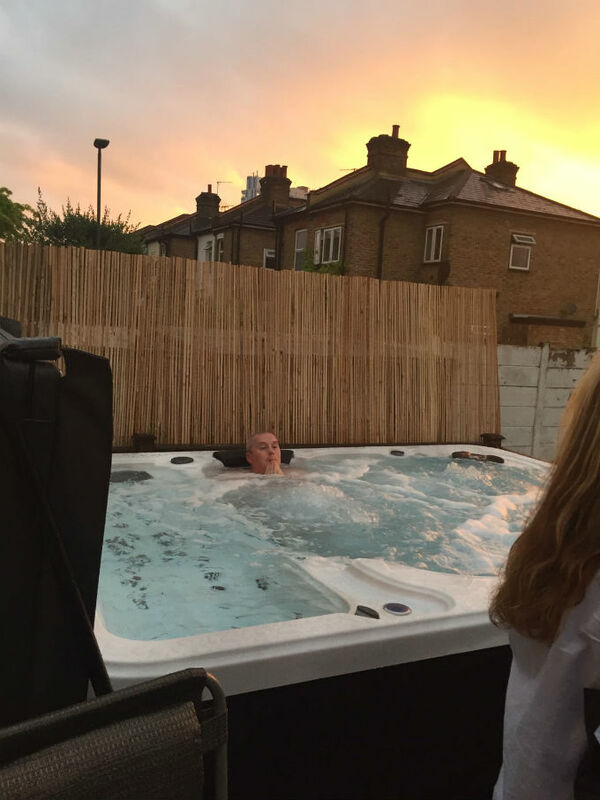 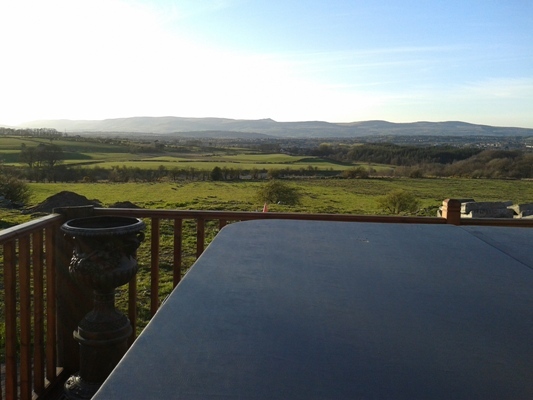 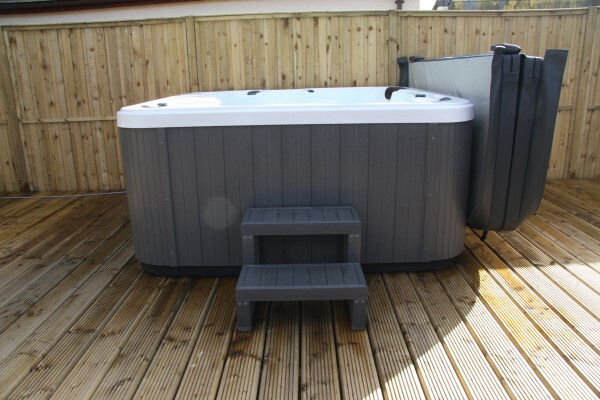 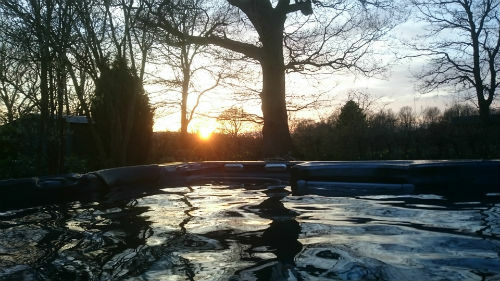 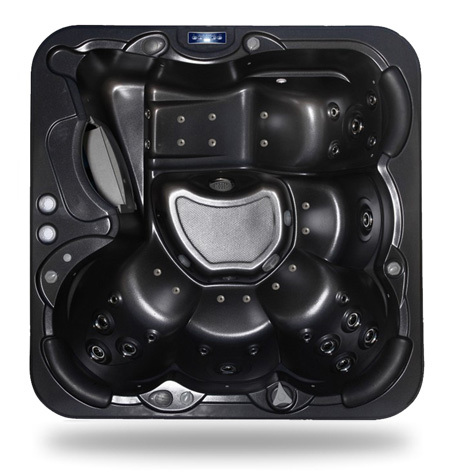 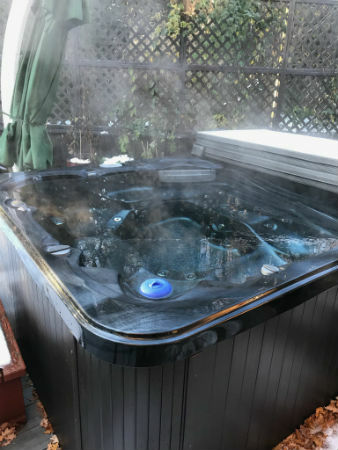 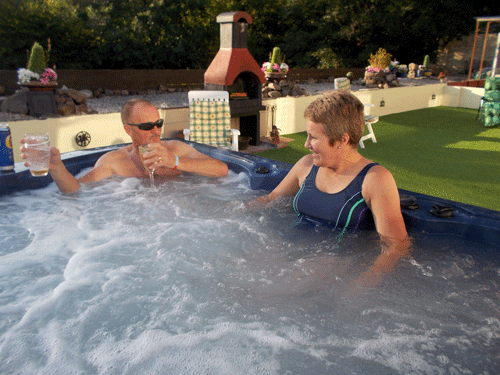 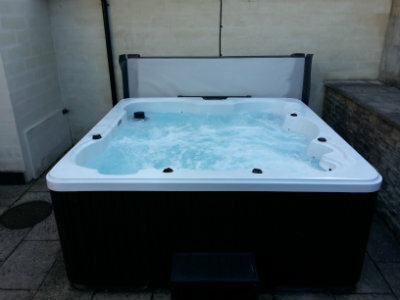 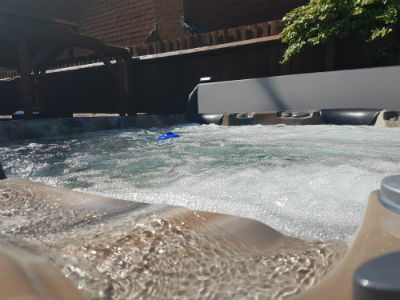 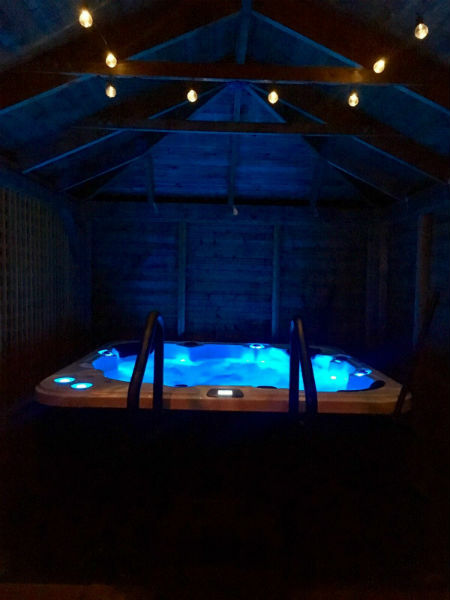 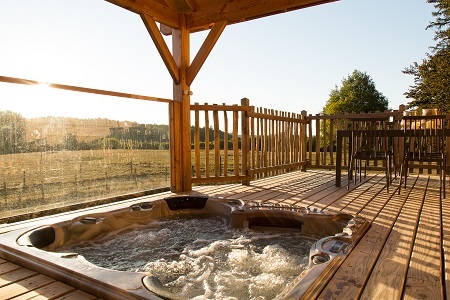 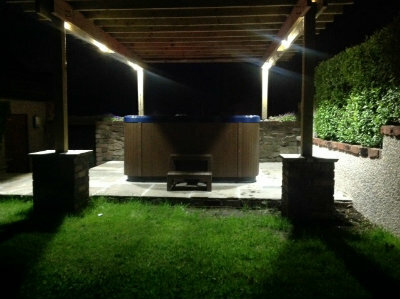 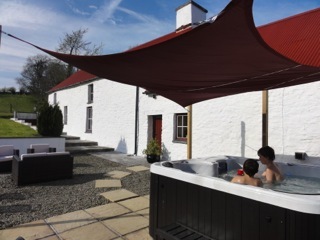 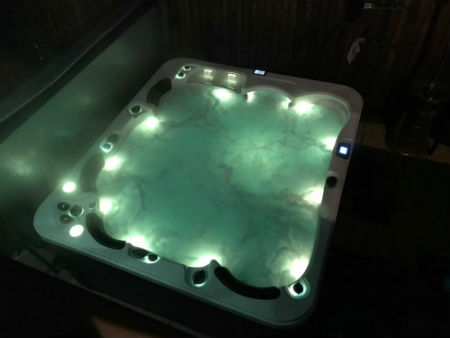 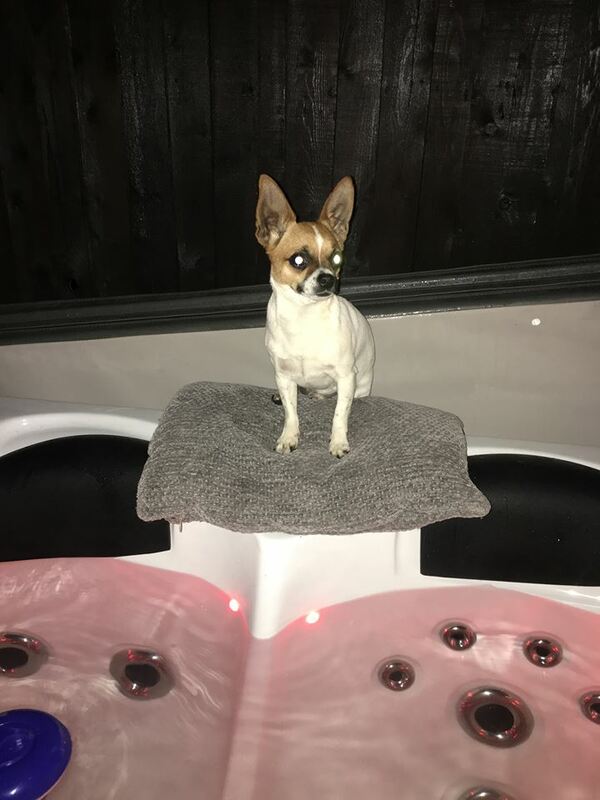 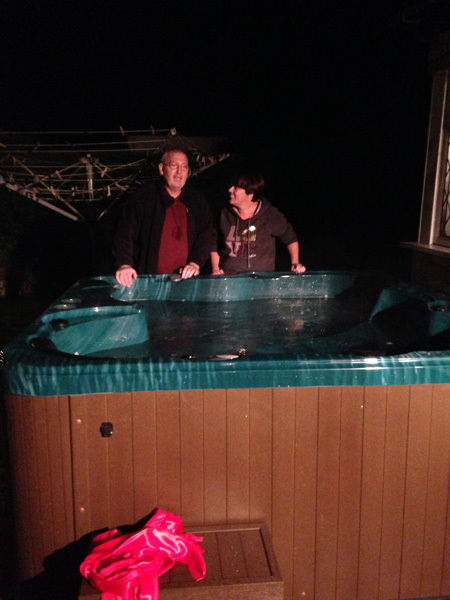 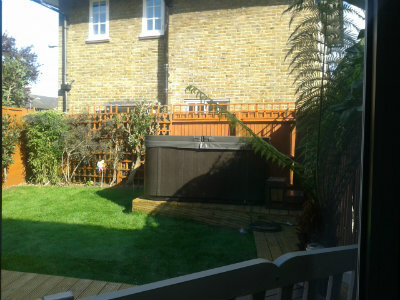 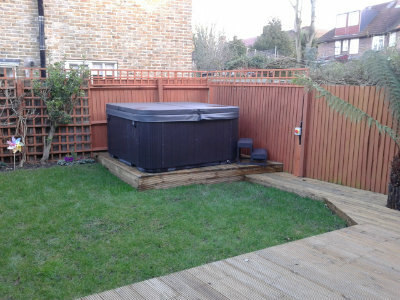 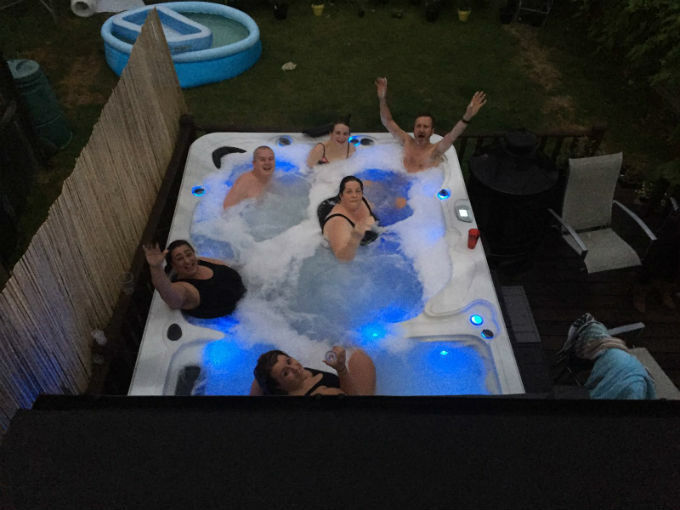 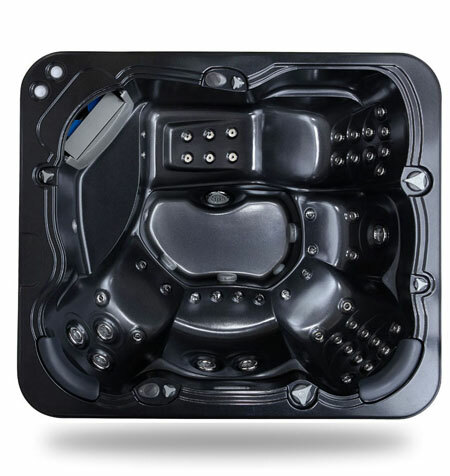 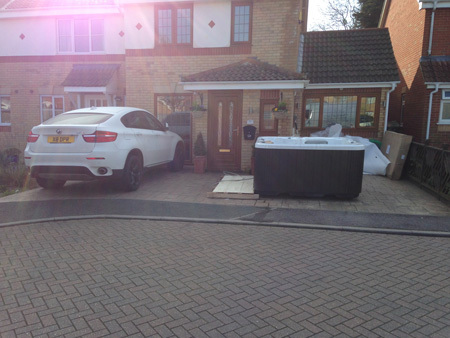 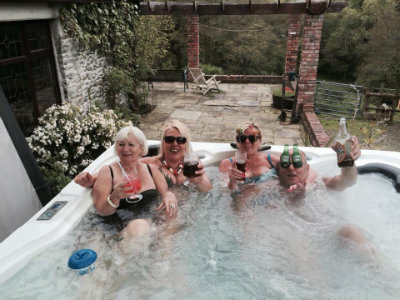 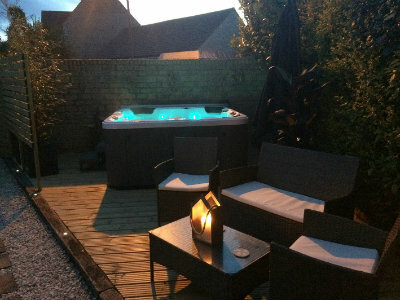 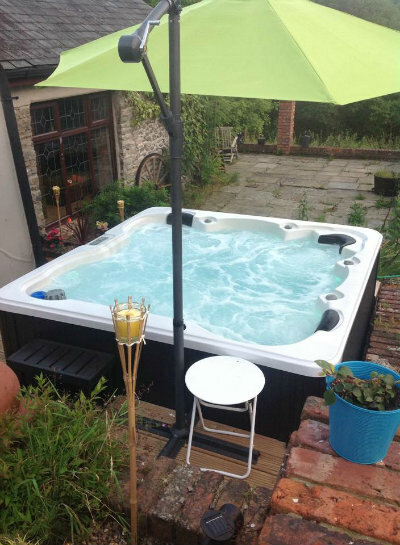 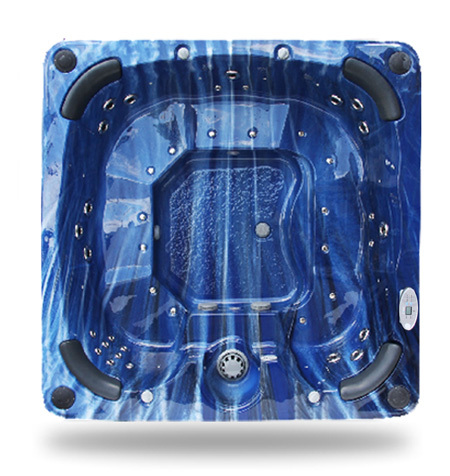 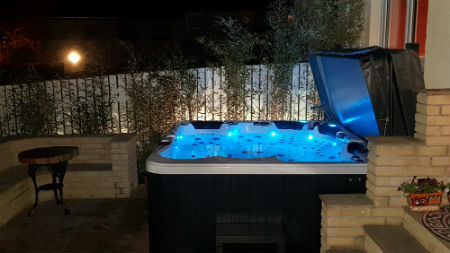 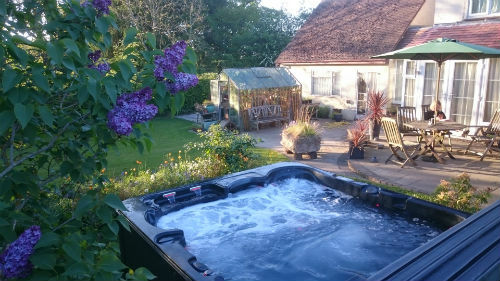 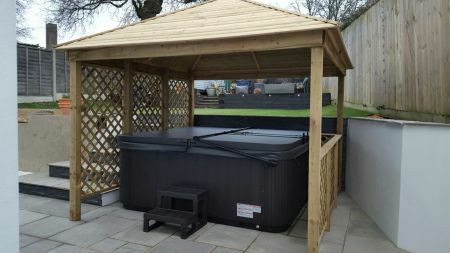 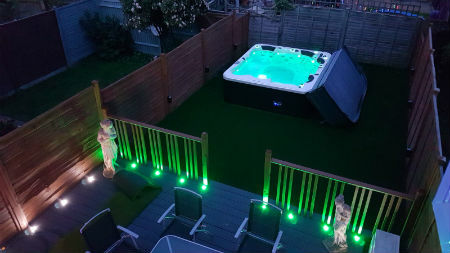 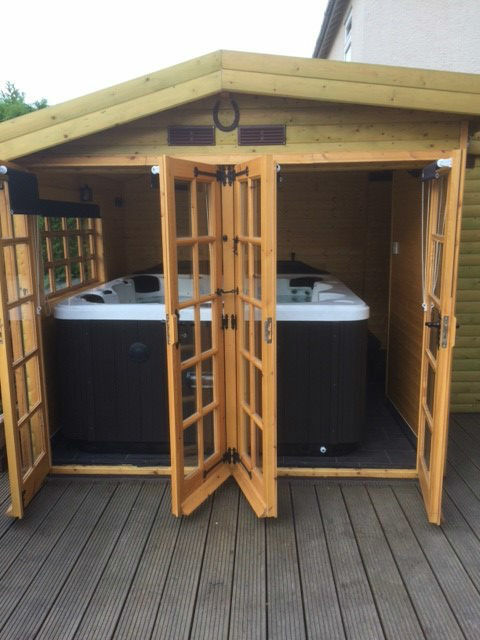 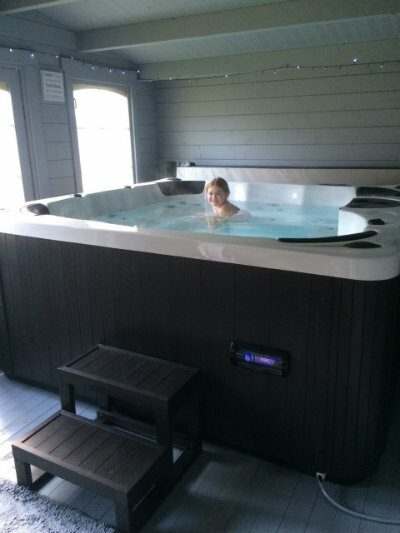 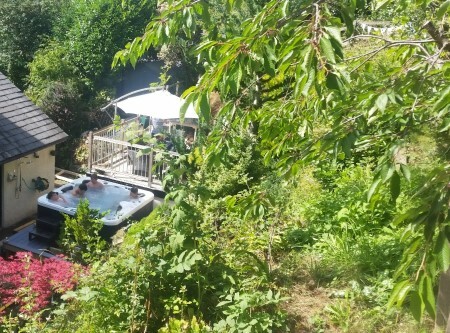 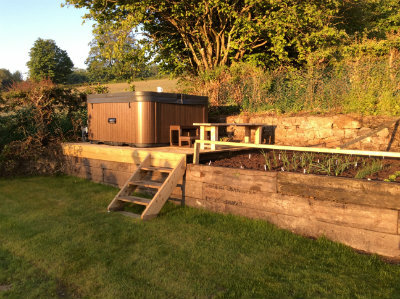 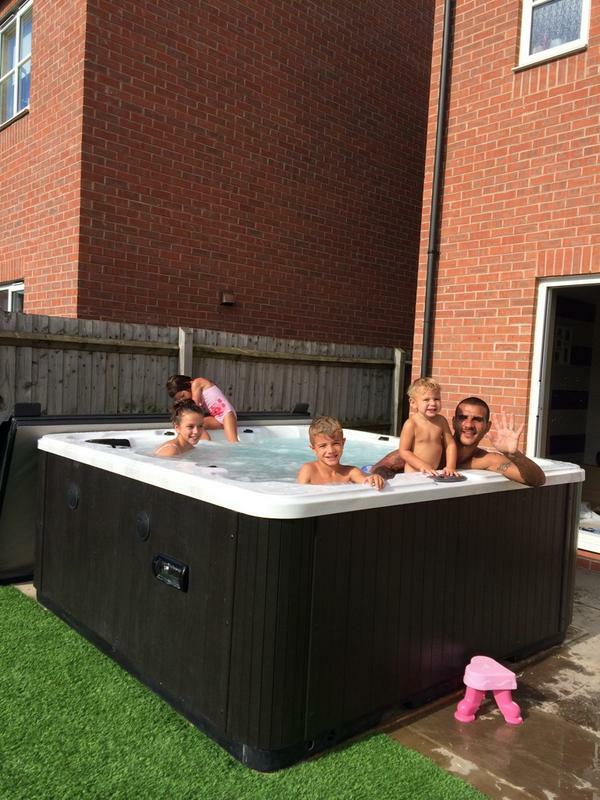 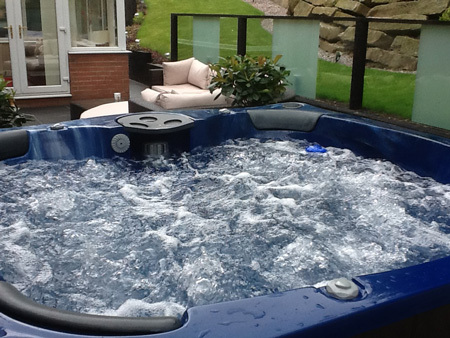 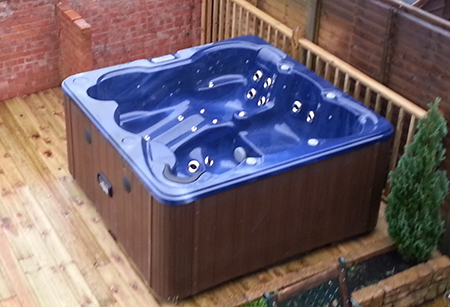 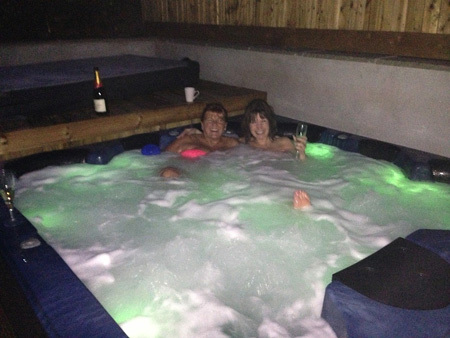 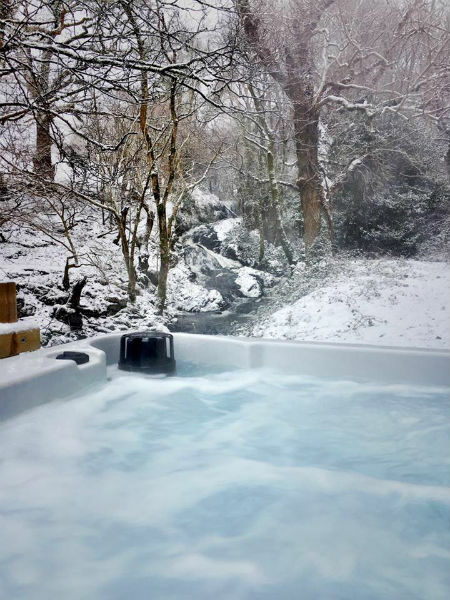 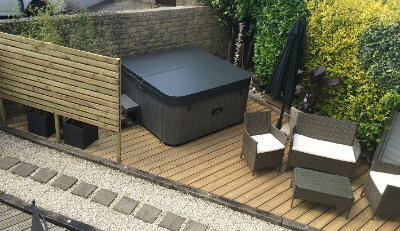 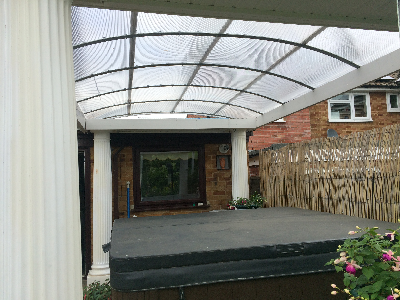 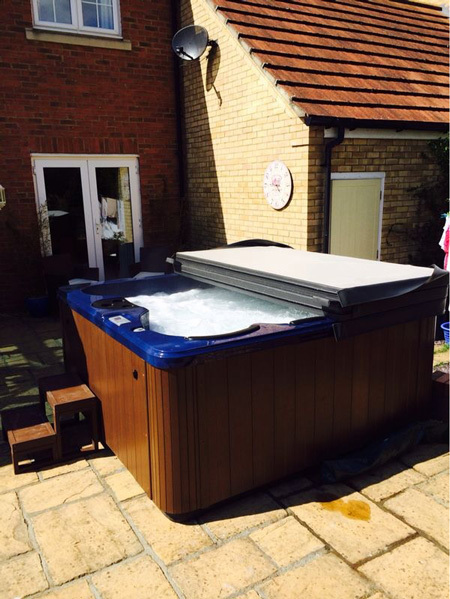 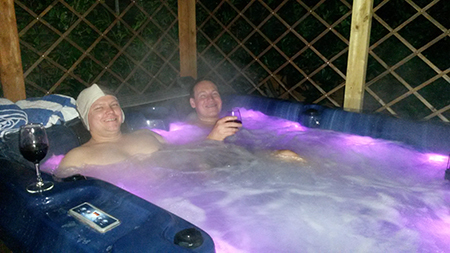 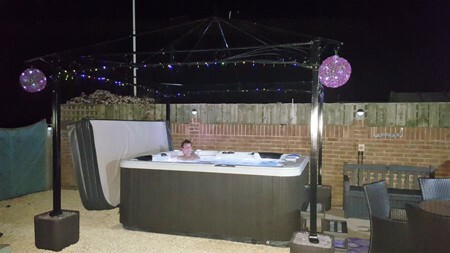 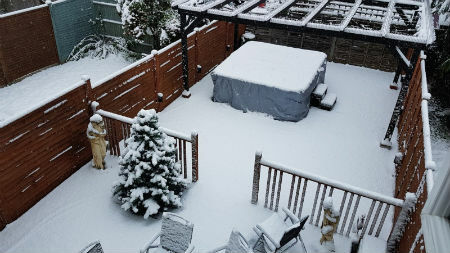 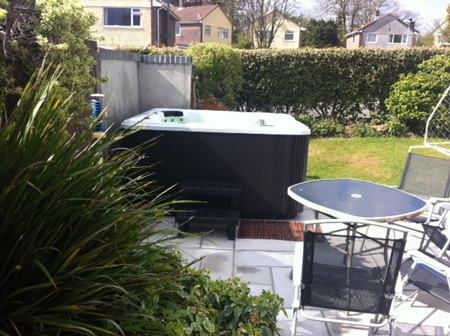 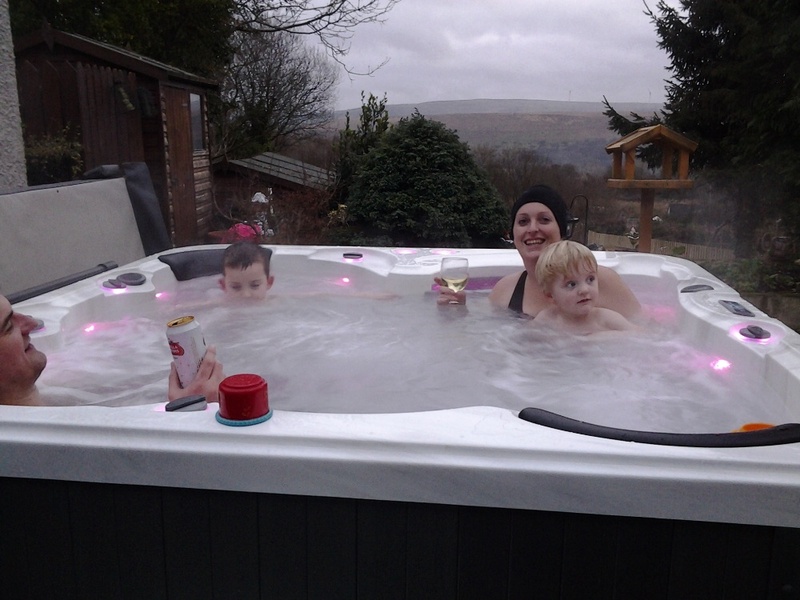 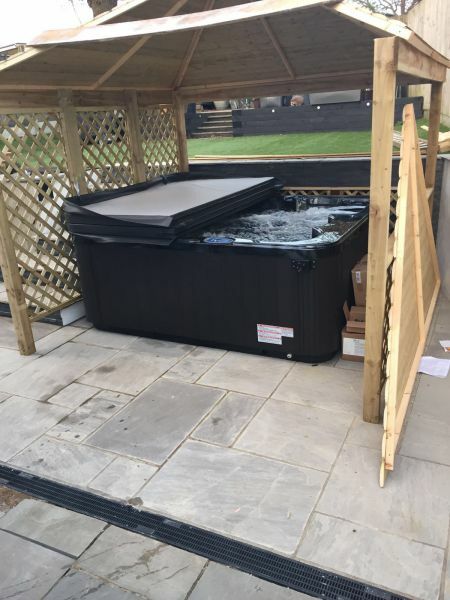 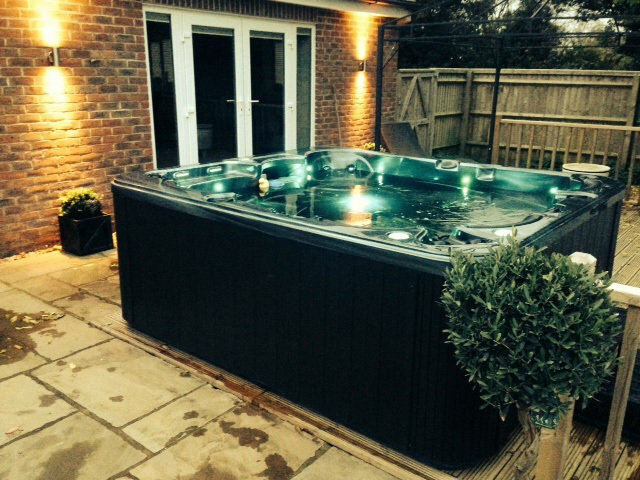 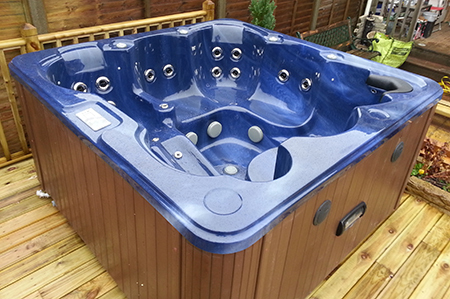 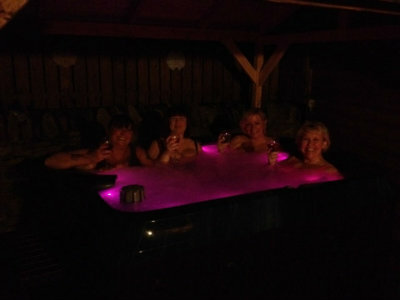 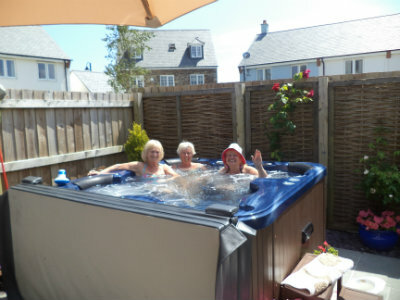 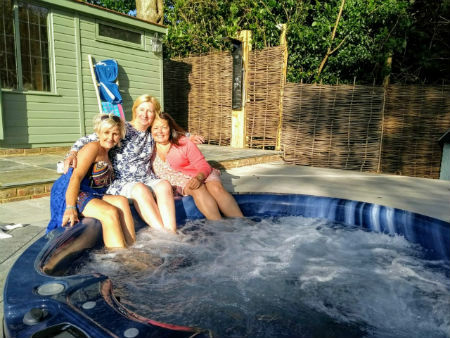 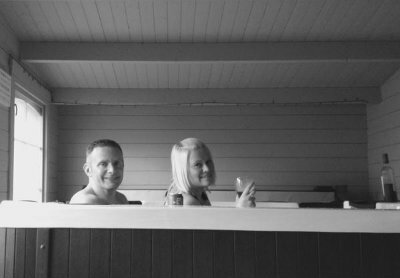 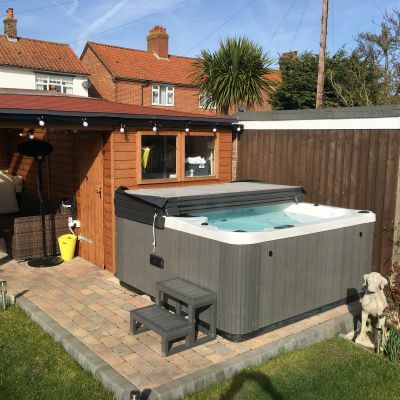 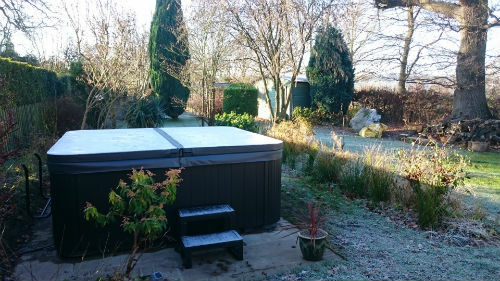 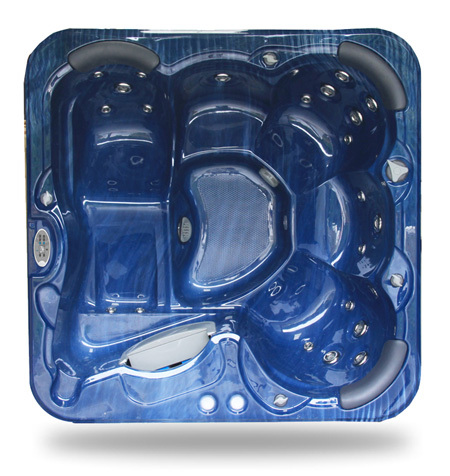 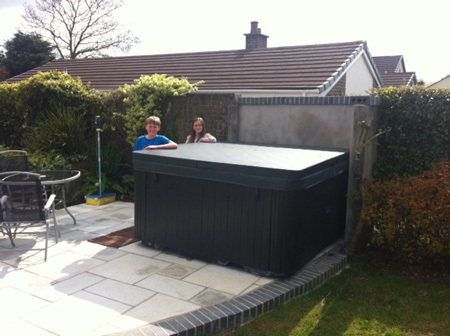 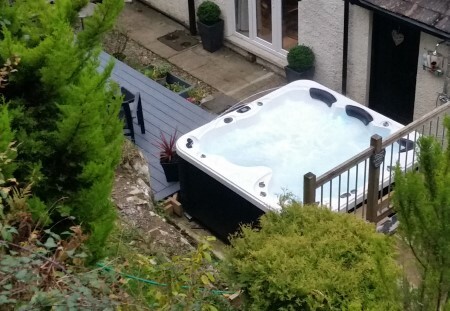 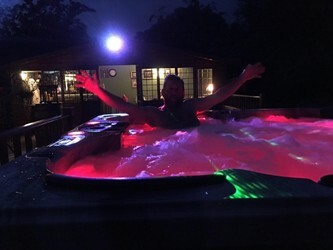 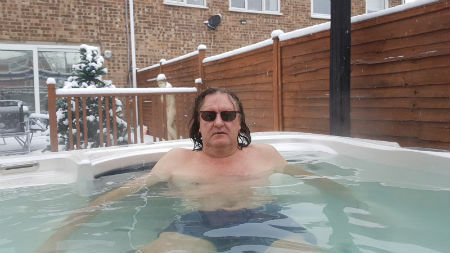 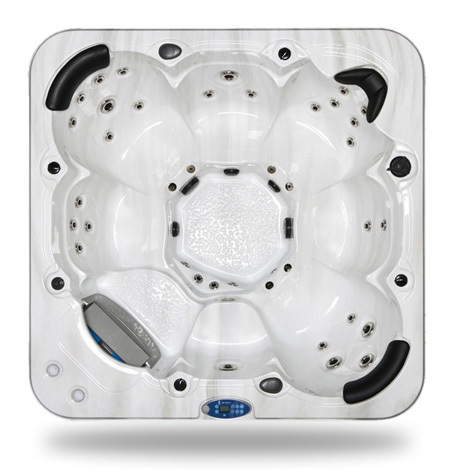 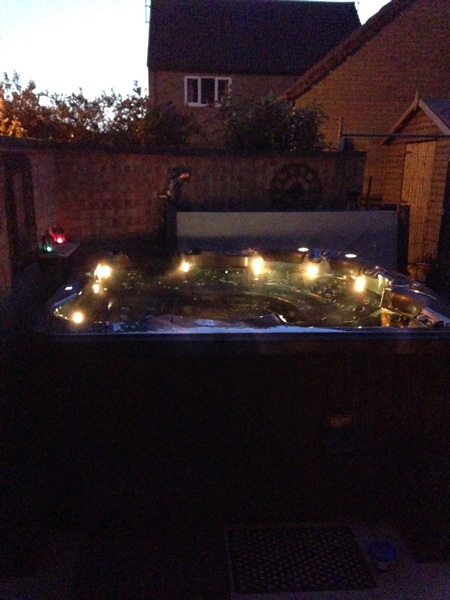 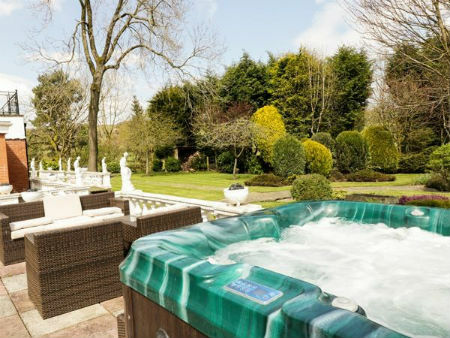 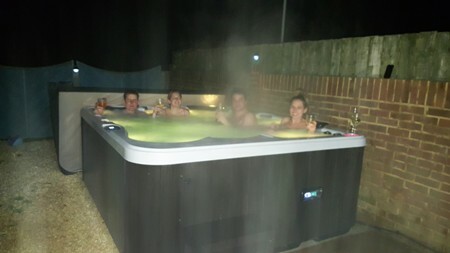 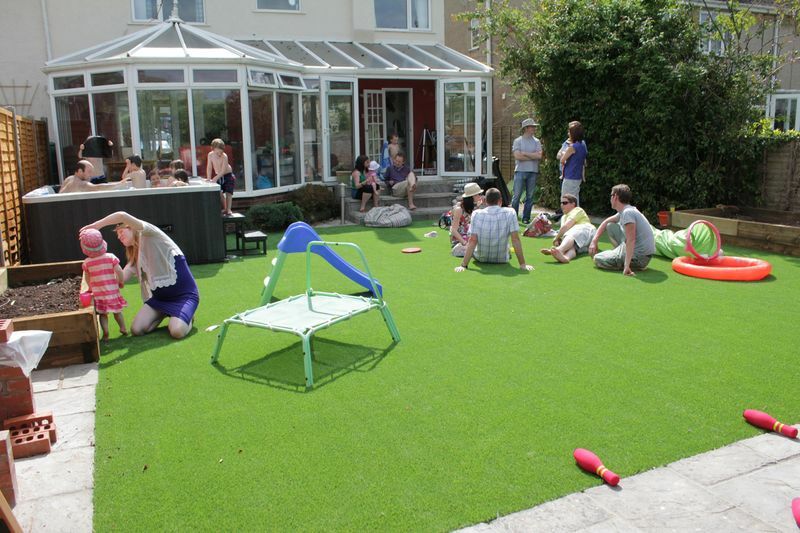 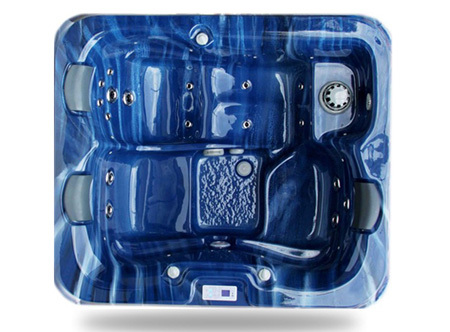 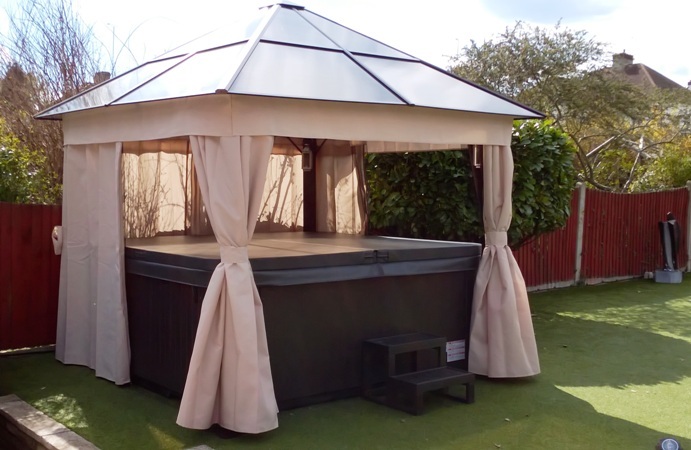 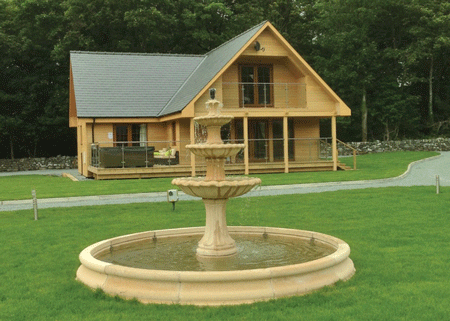 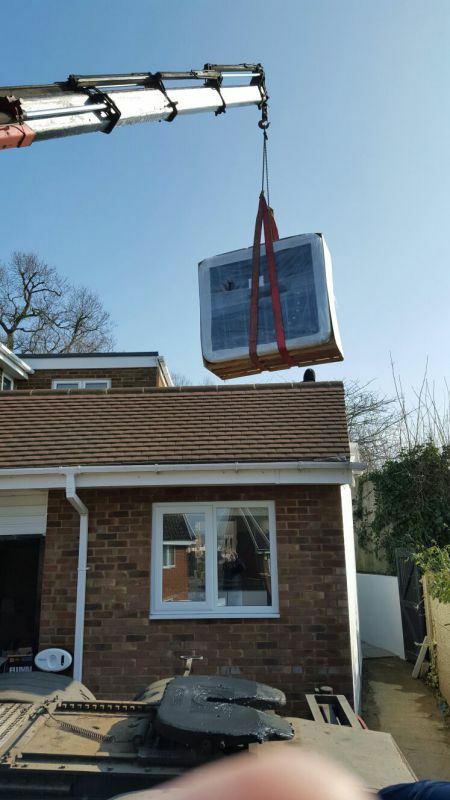 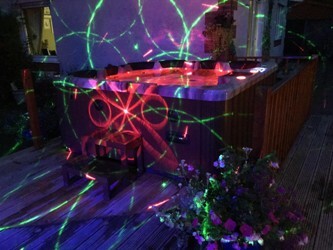 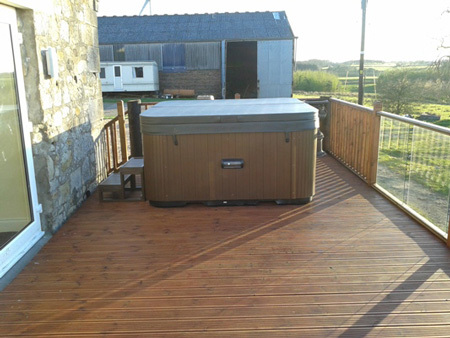 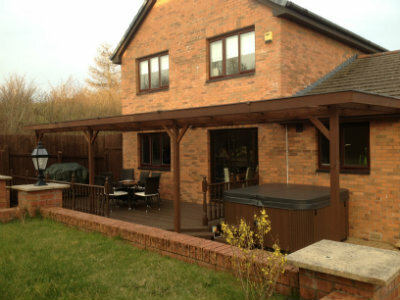 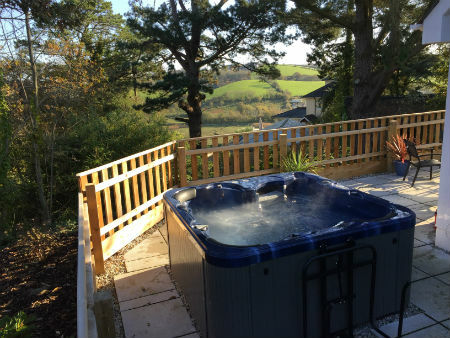 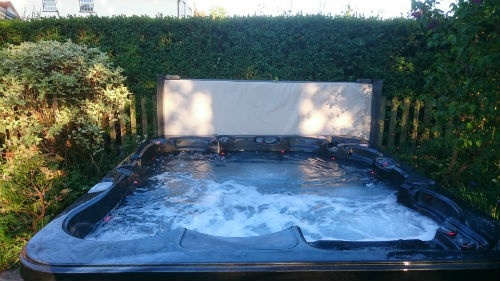 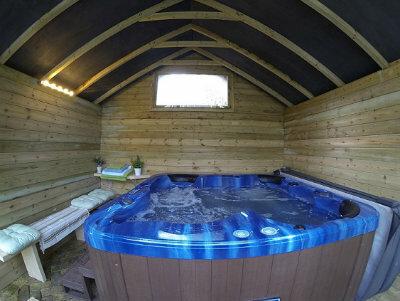 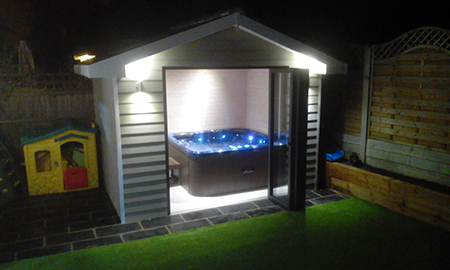 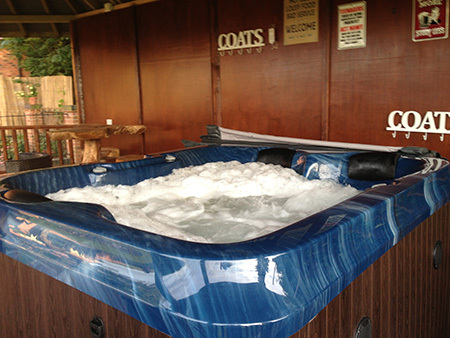 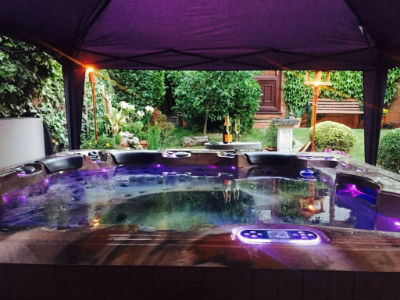 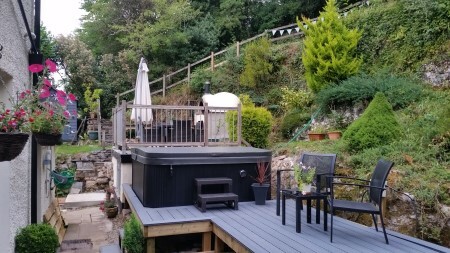 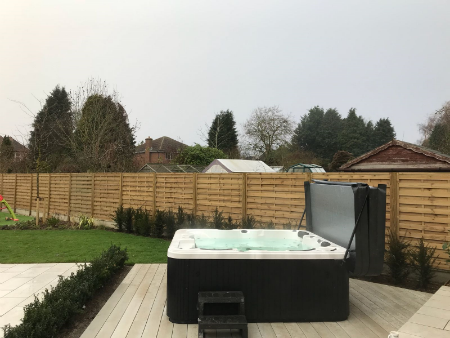 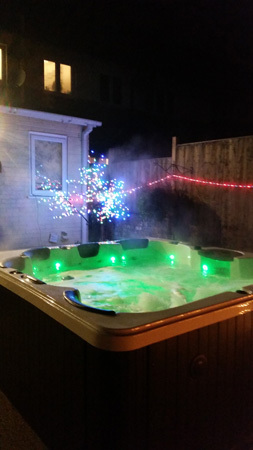 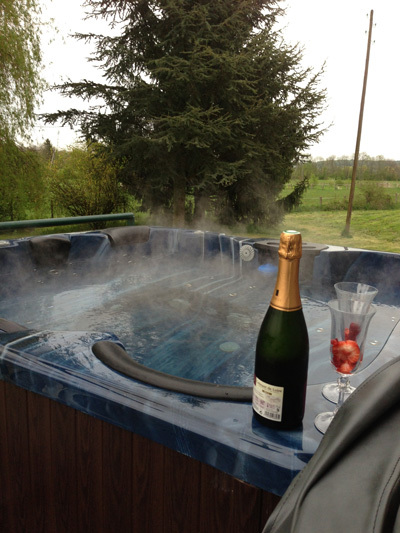 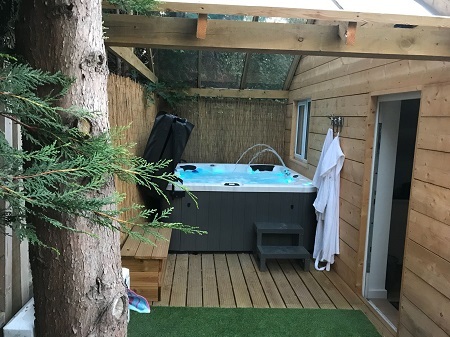 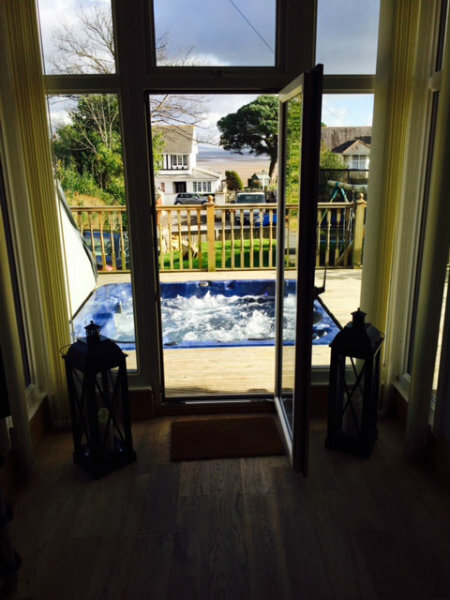 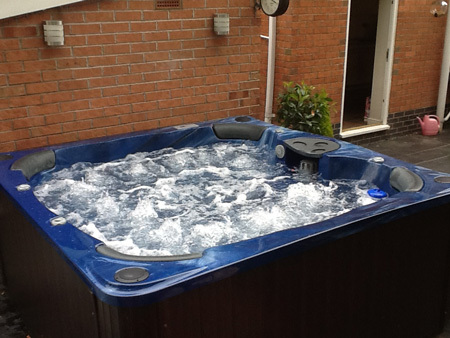 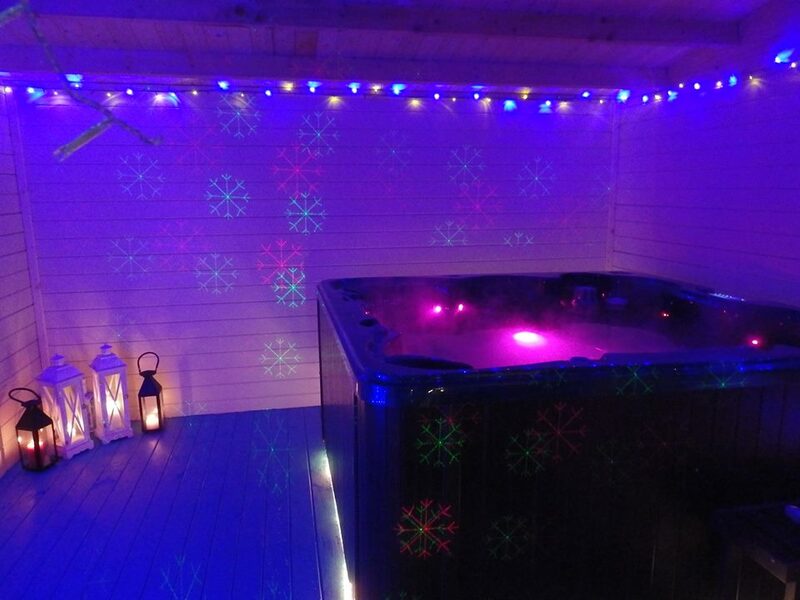 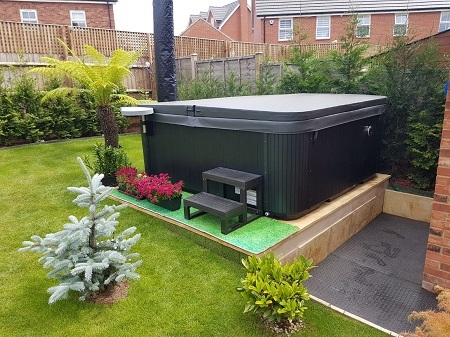 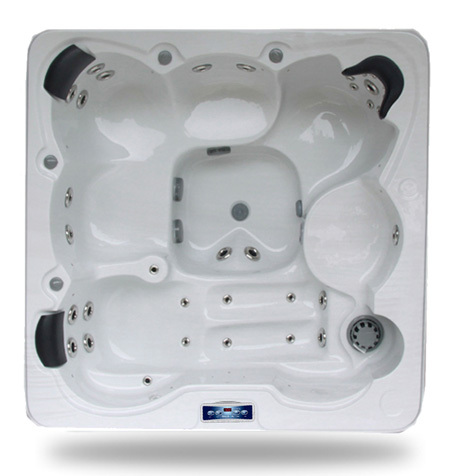 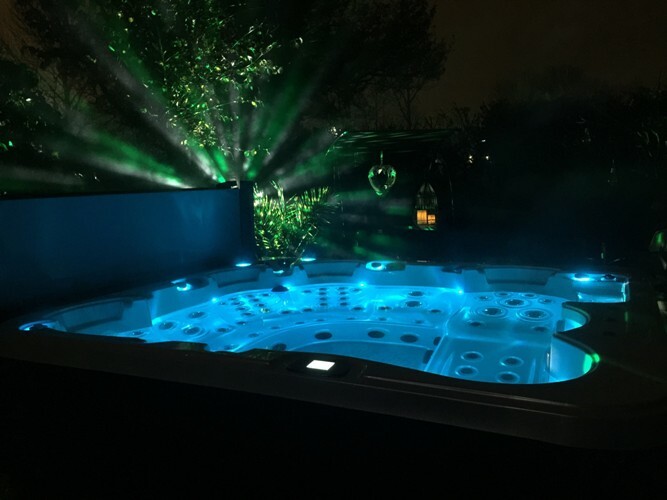 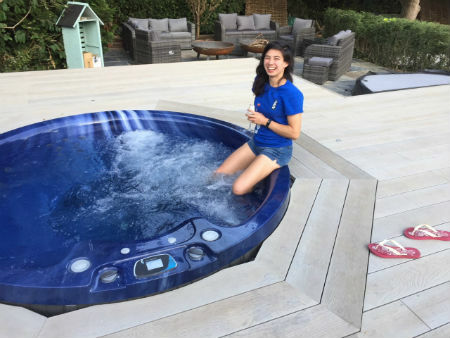 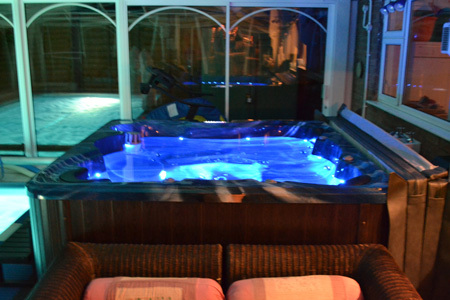 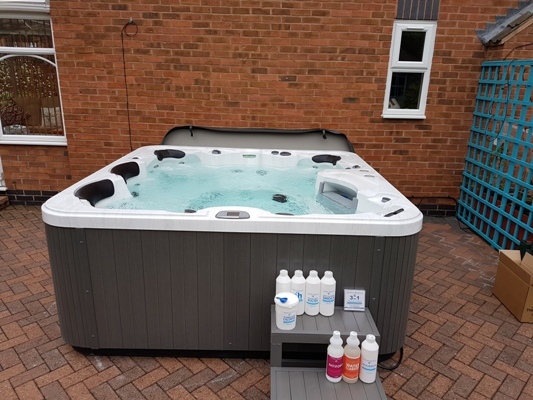 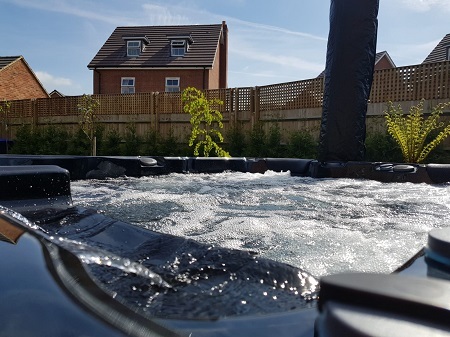 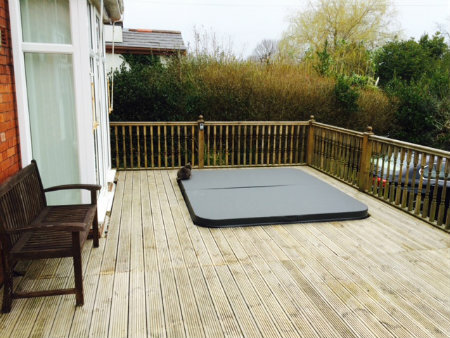 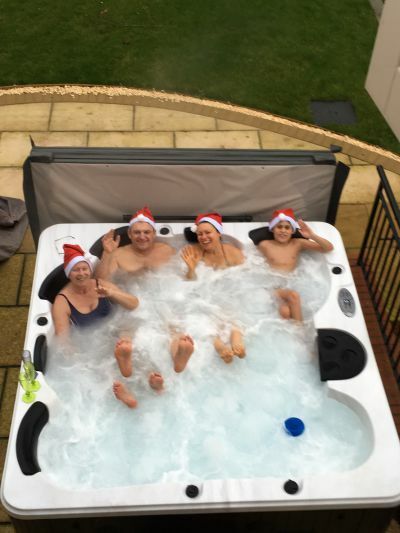 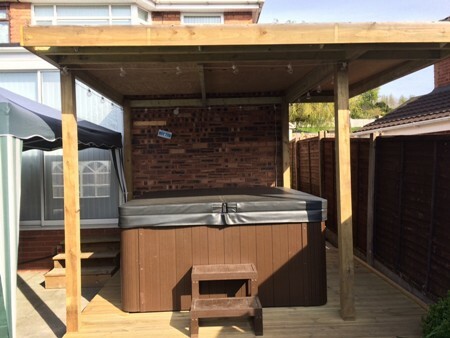 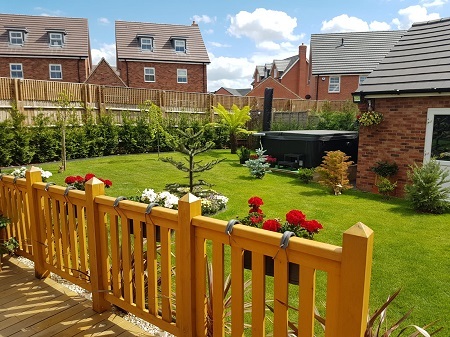 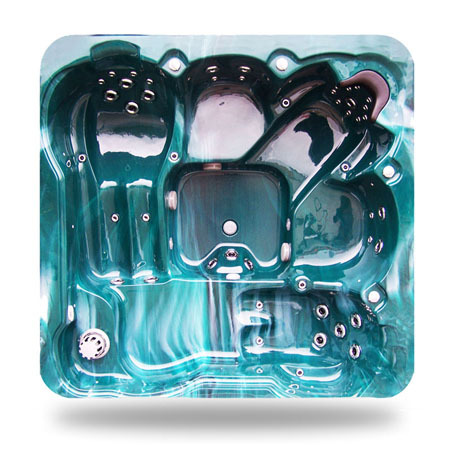 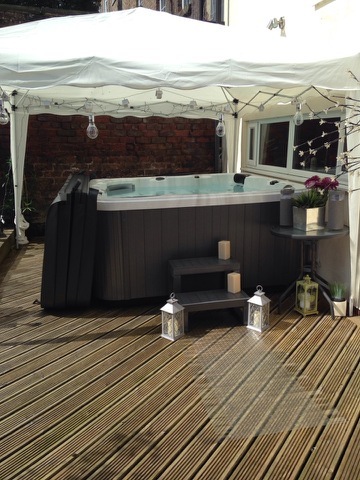 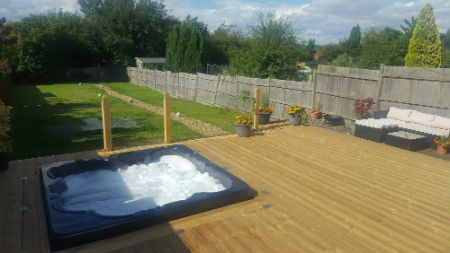 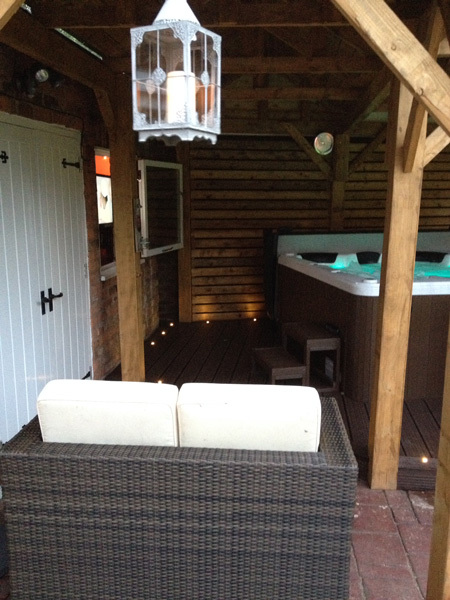 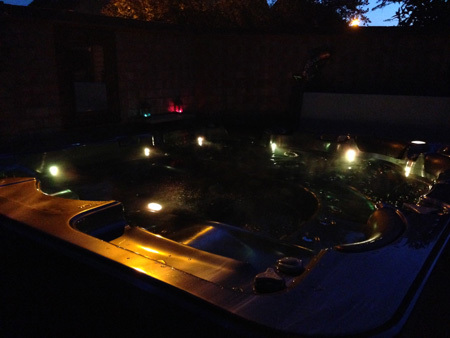 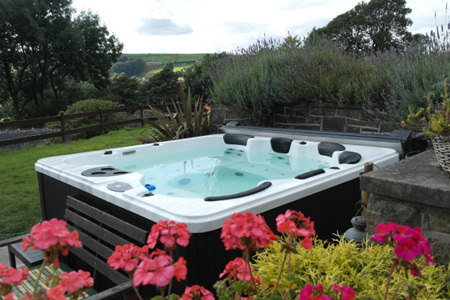 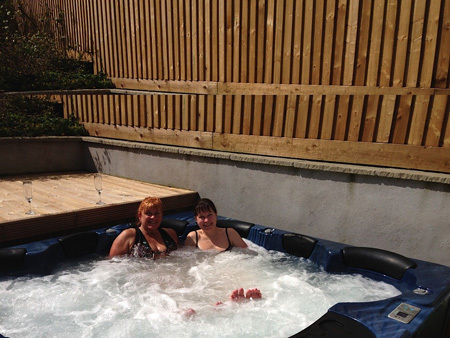 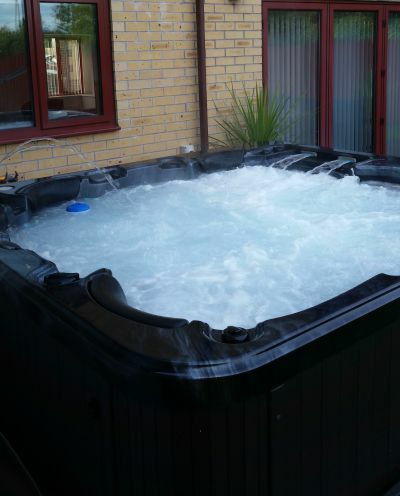 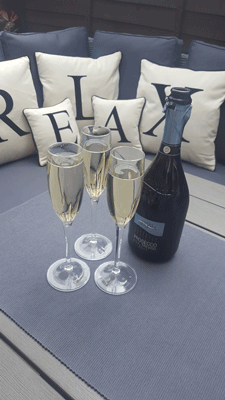 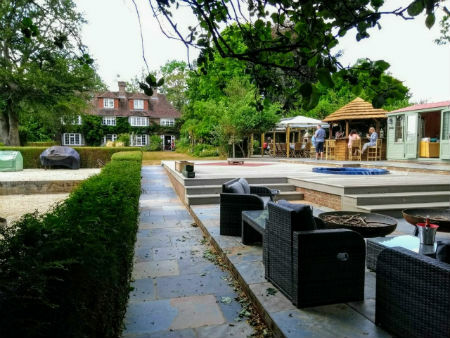 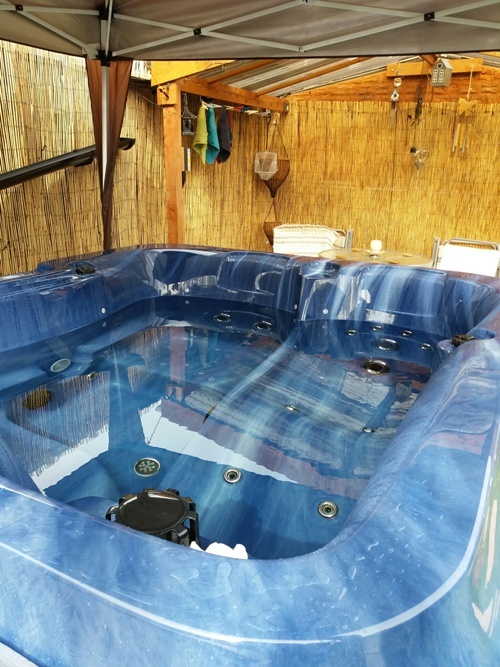 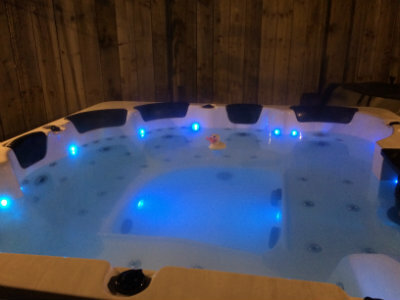 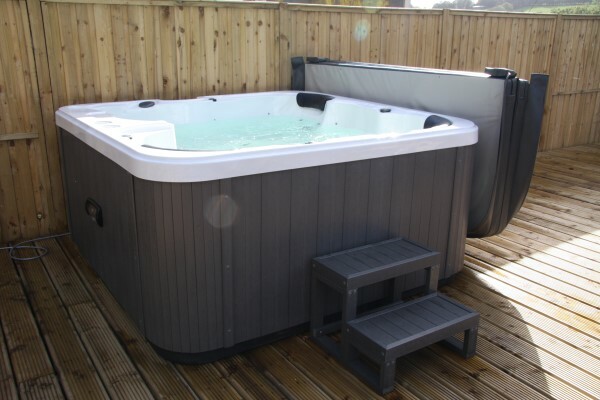 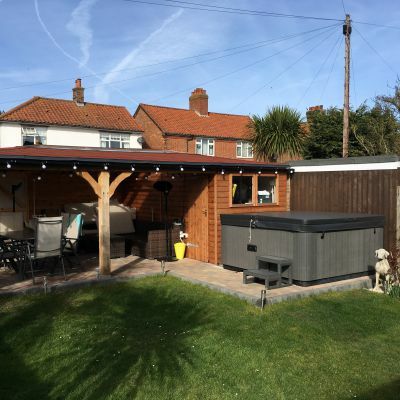 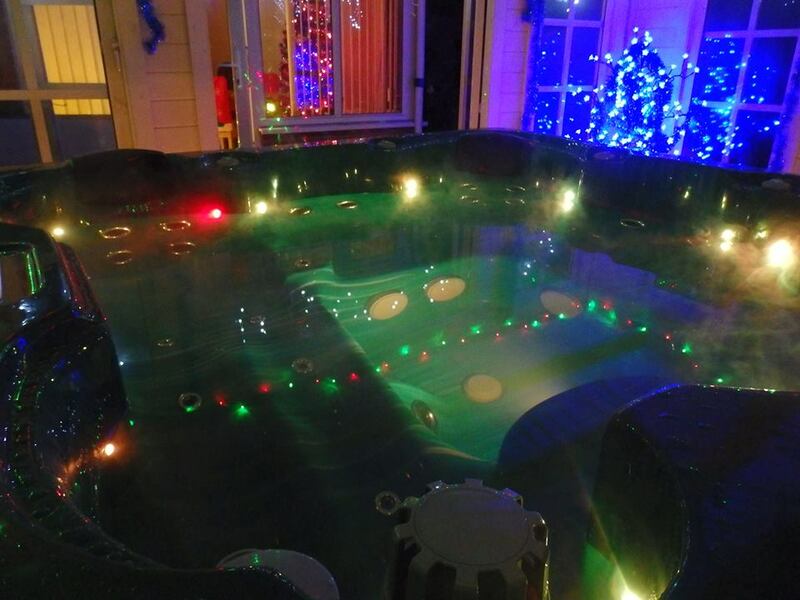 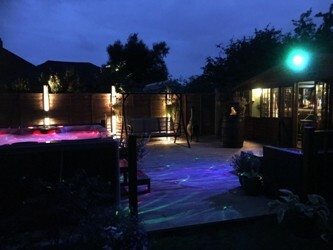 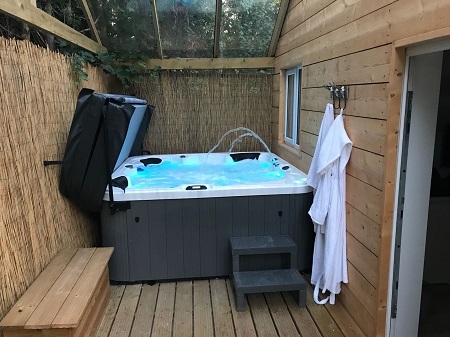 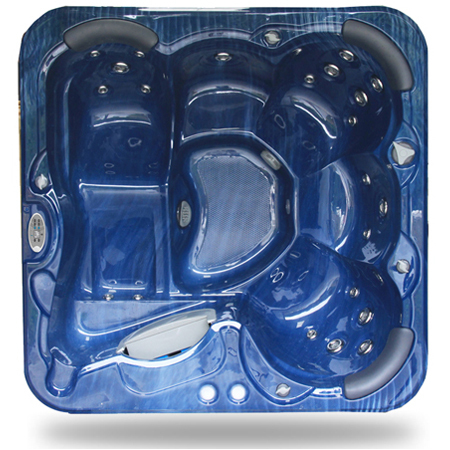 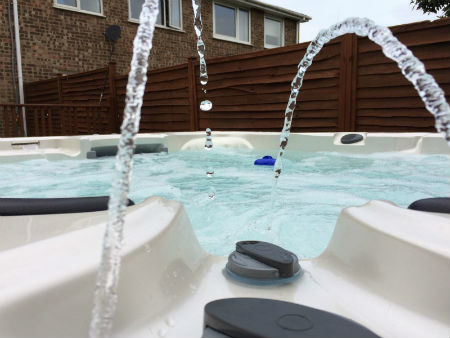 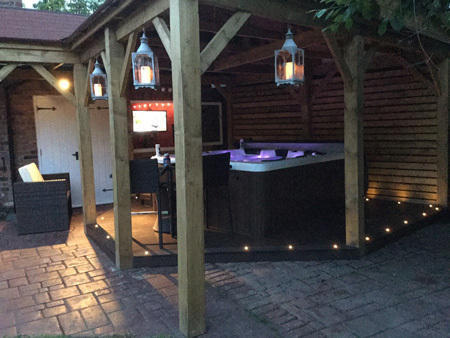 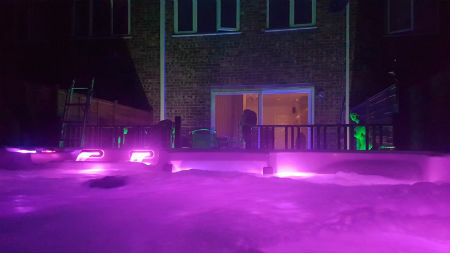 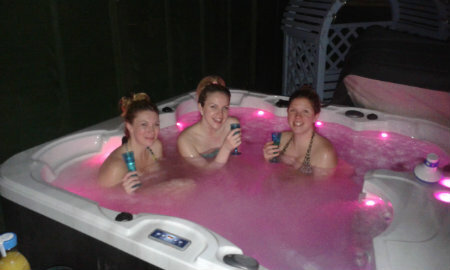 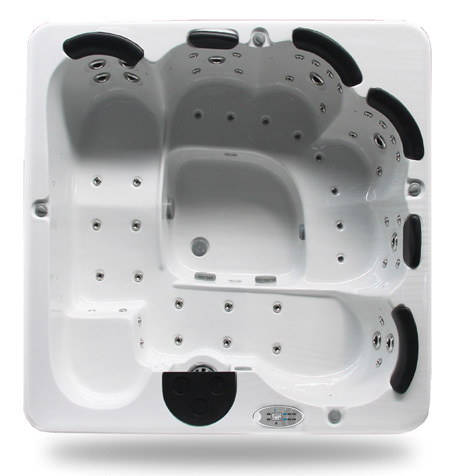 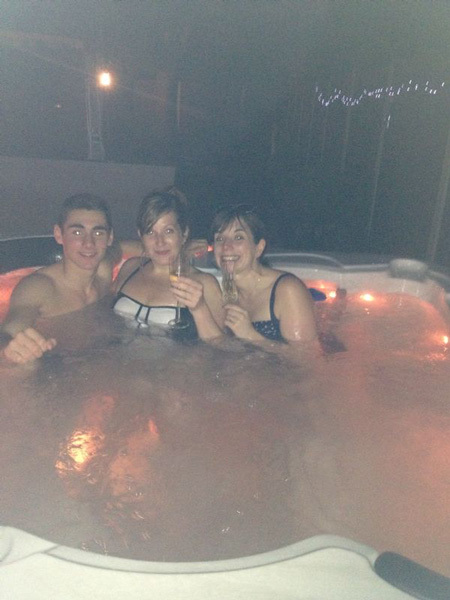 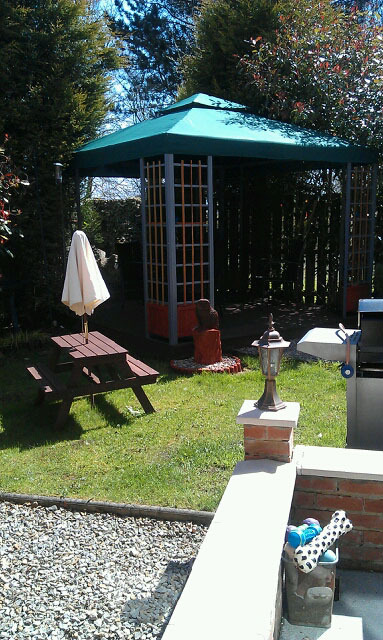 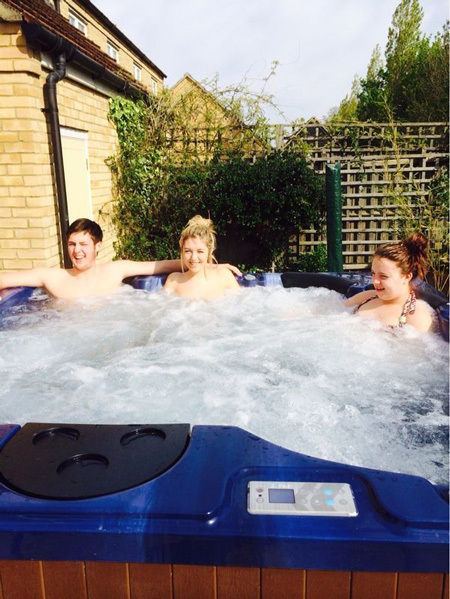 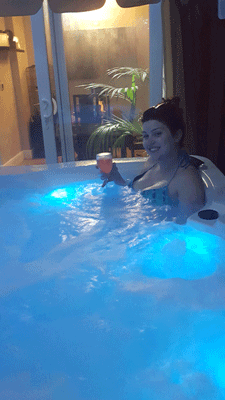 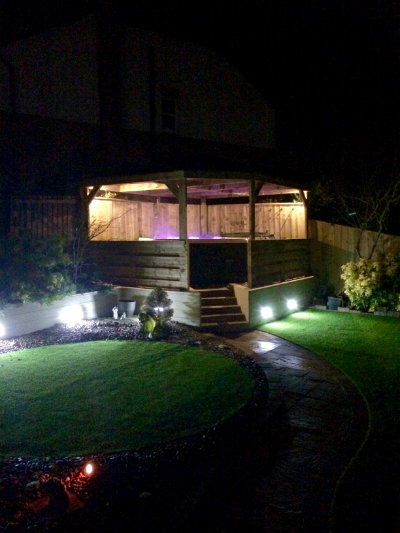 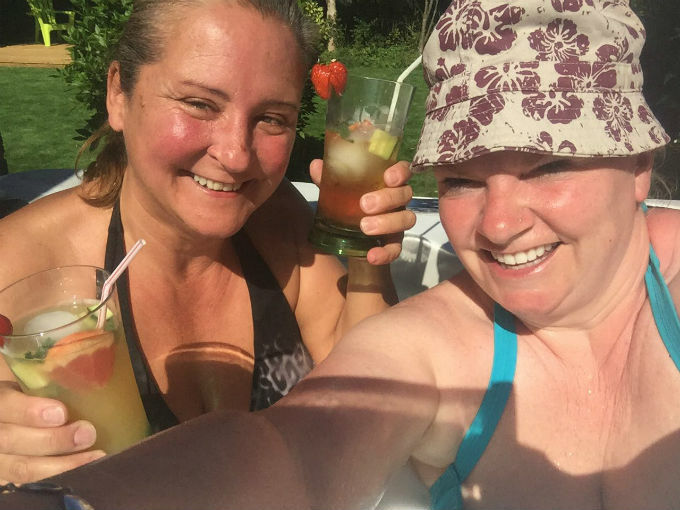 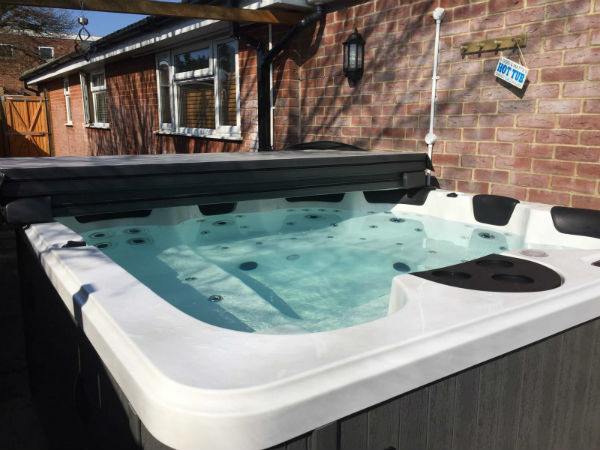 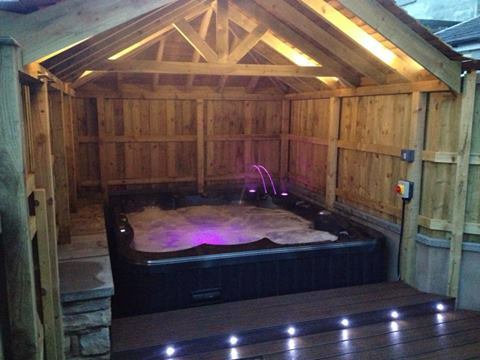 I would not hesitate to recommend hottubsuppliers.com to others, in fact I have; and they had one fitted six months ago on seeing ours.